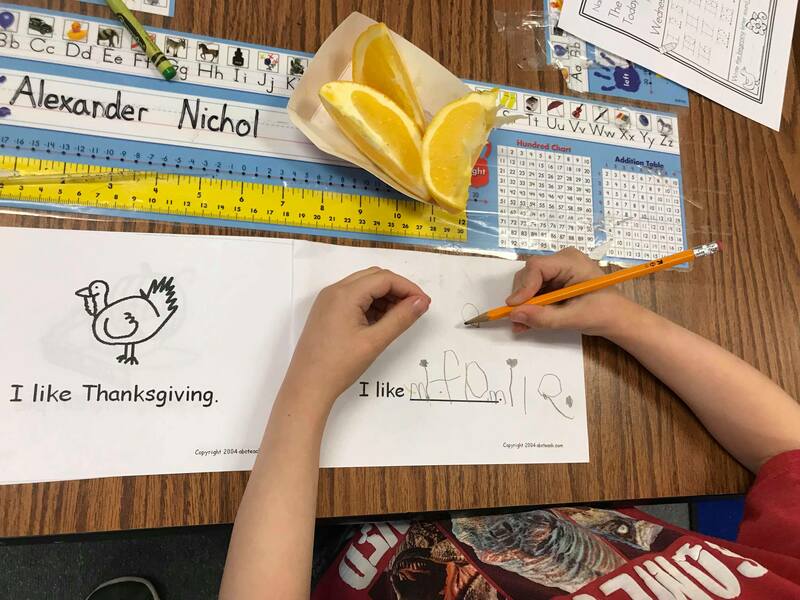 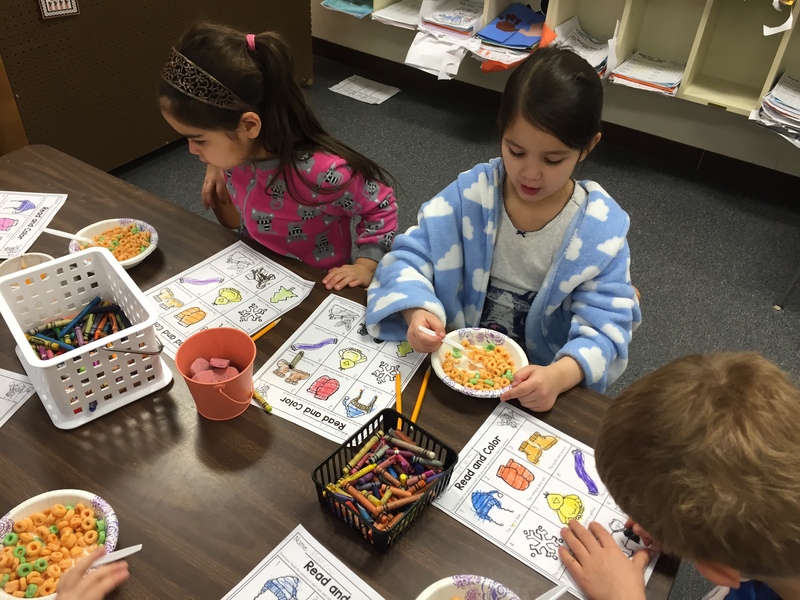 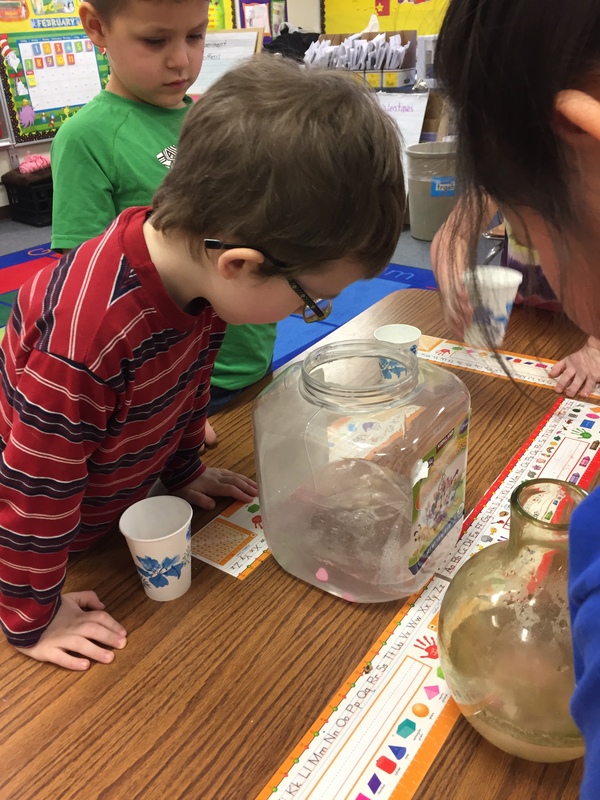 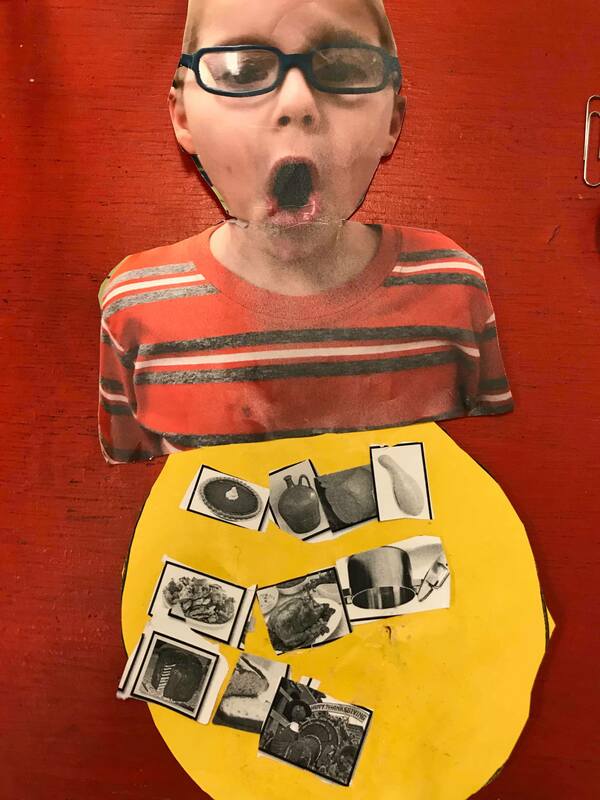 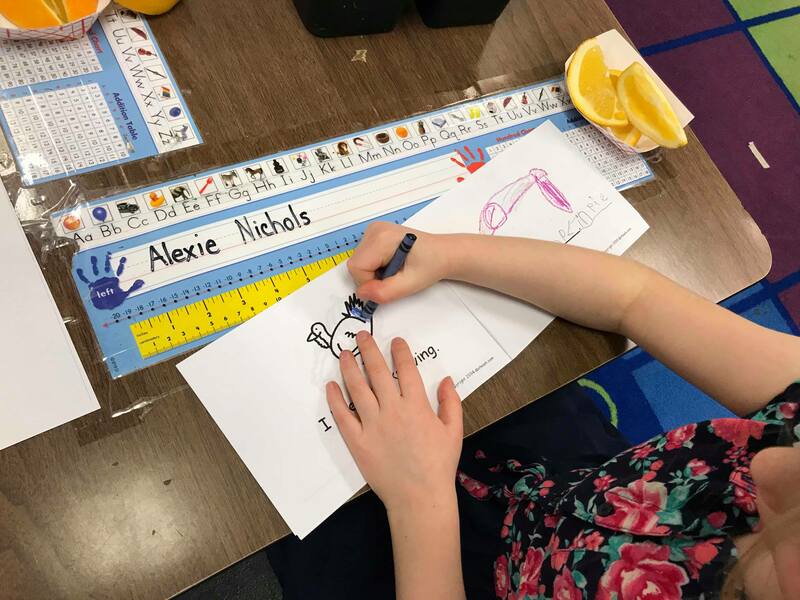 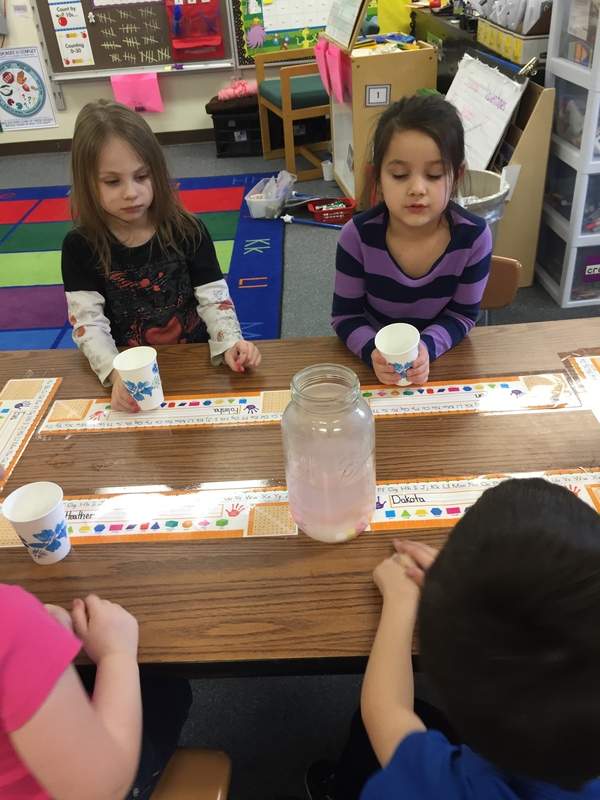 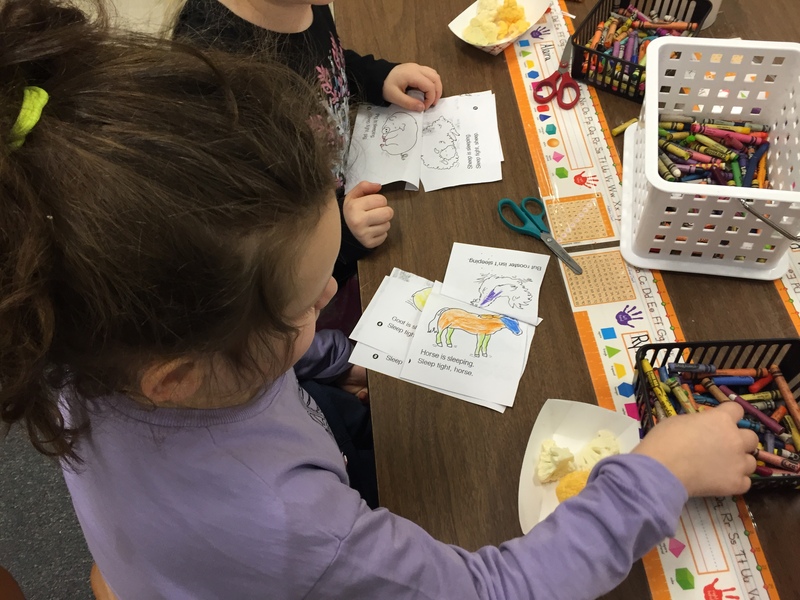 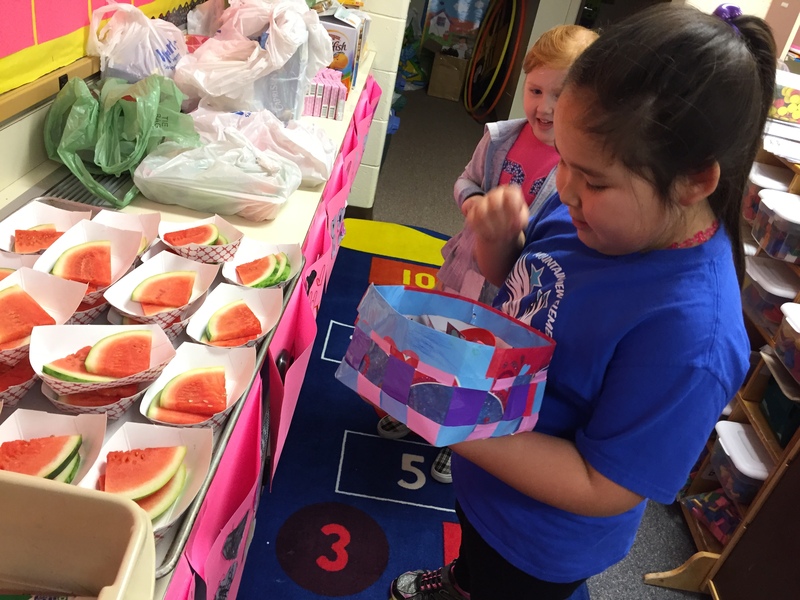 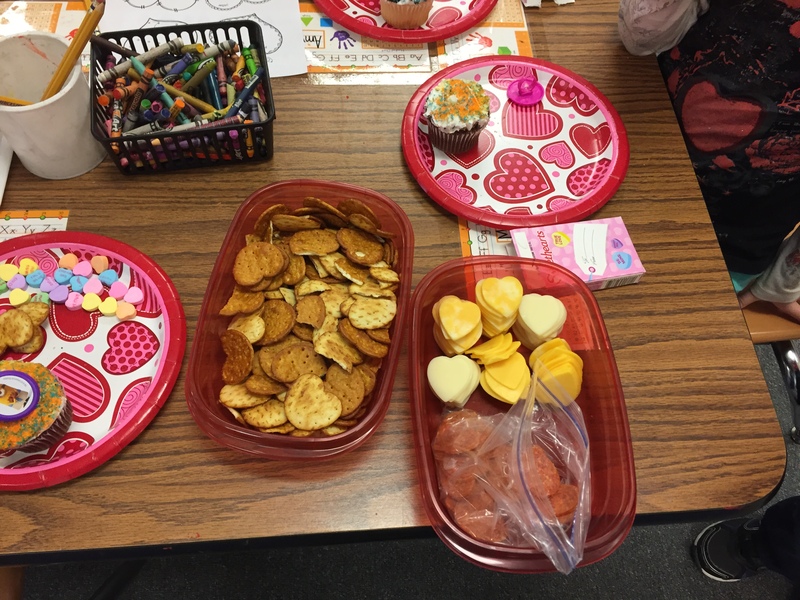 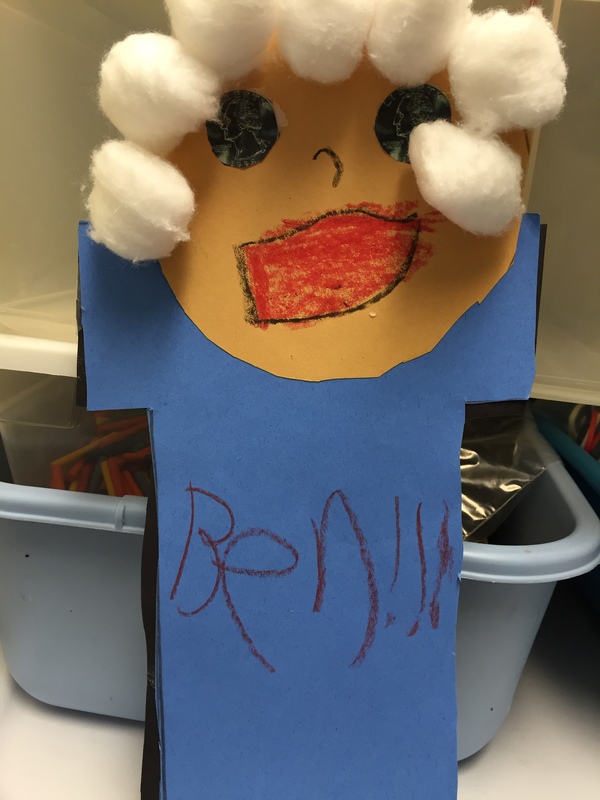 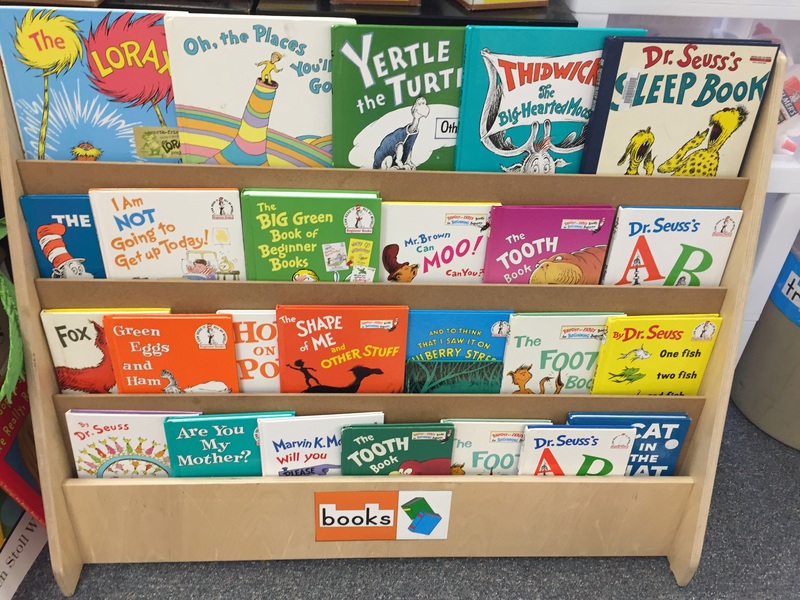 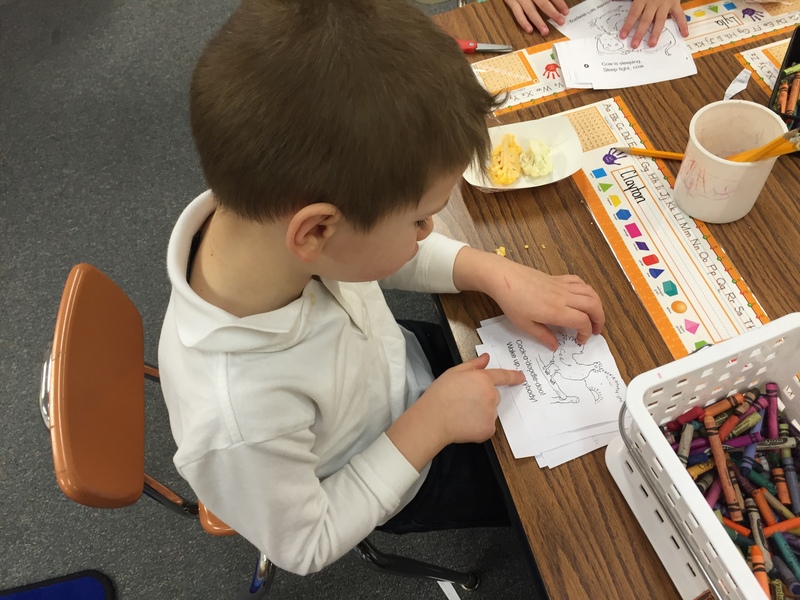 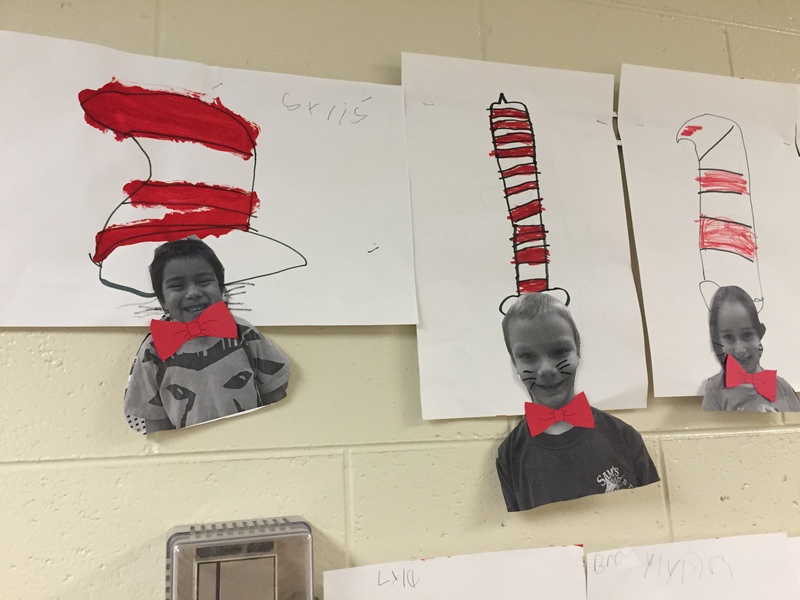 Last week we celebrated Dr. Seuss’ birthday by having a week full of Dr. Seuss related activities! 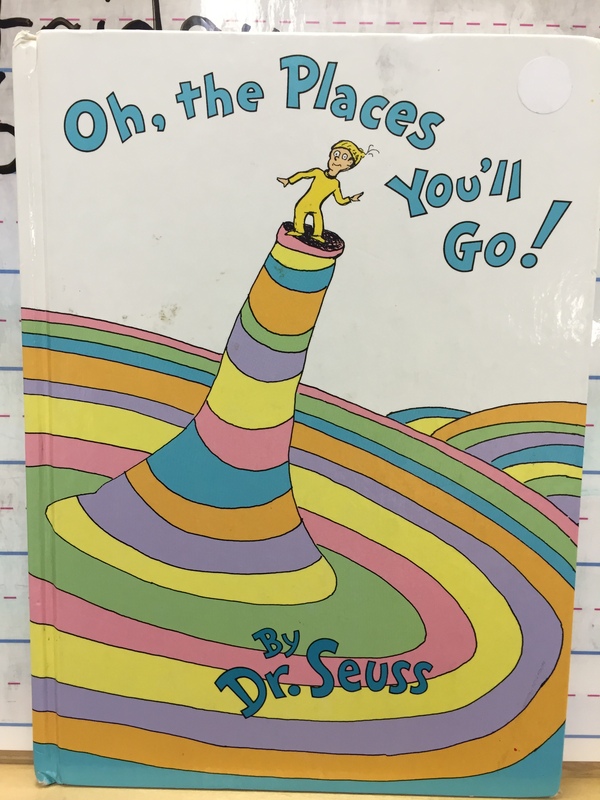 The first day we started by reading Cat in the Hat and Oh the Places You’ll Go. 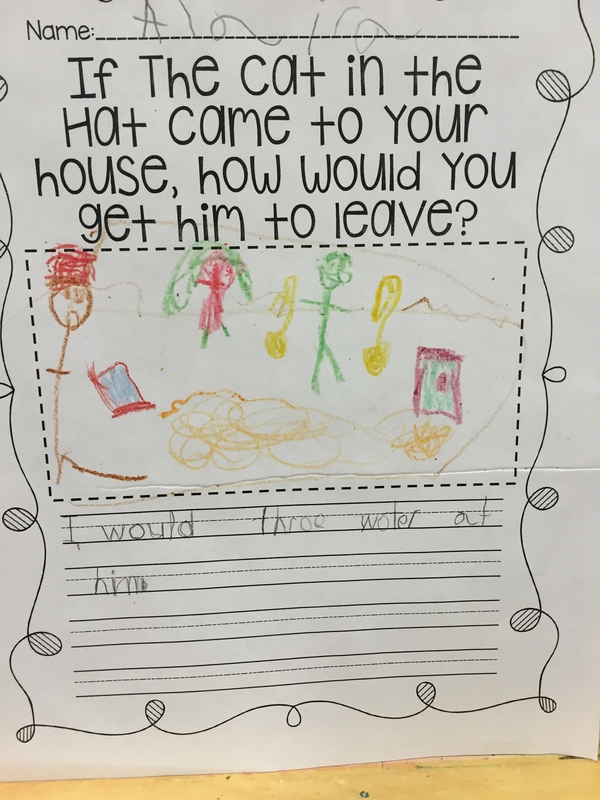 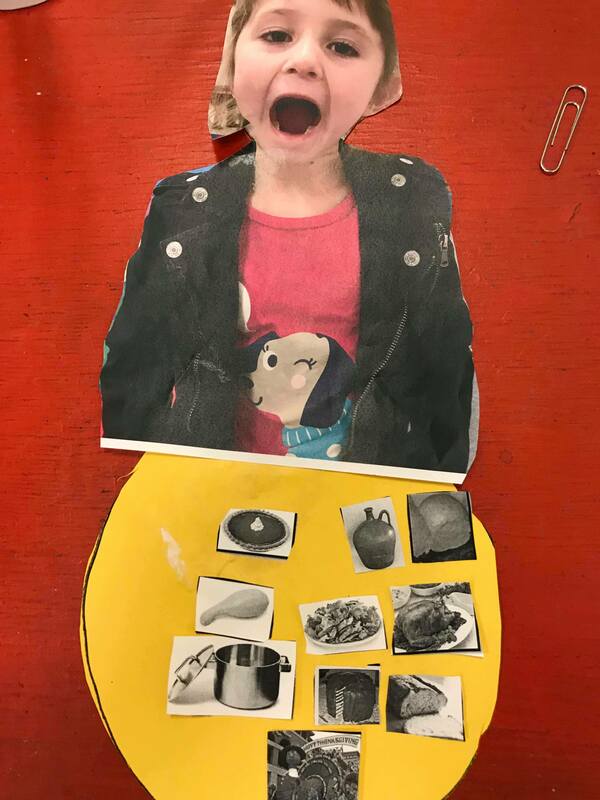 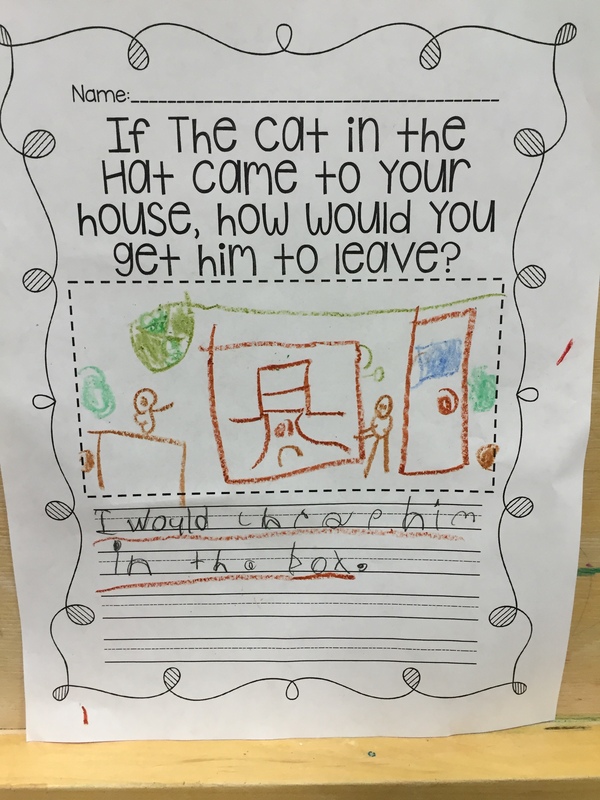 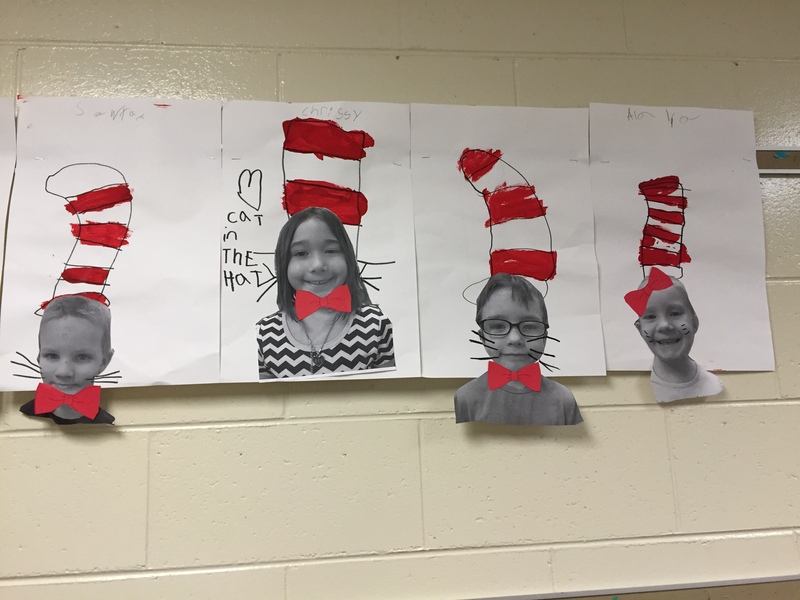 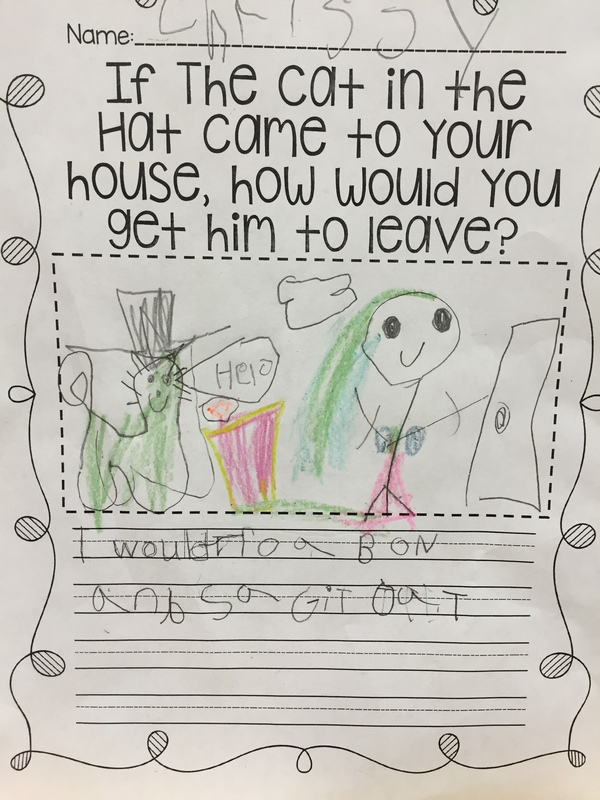 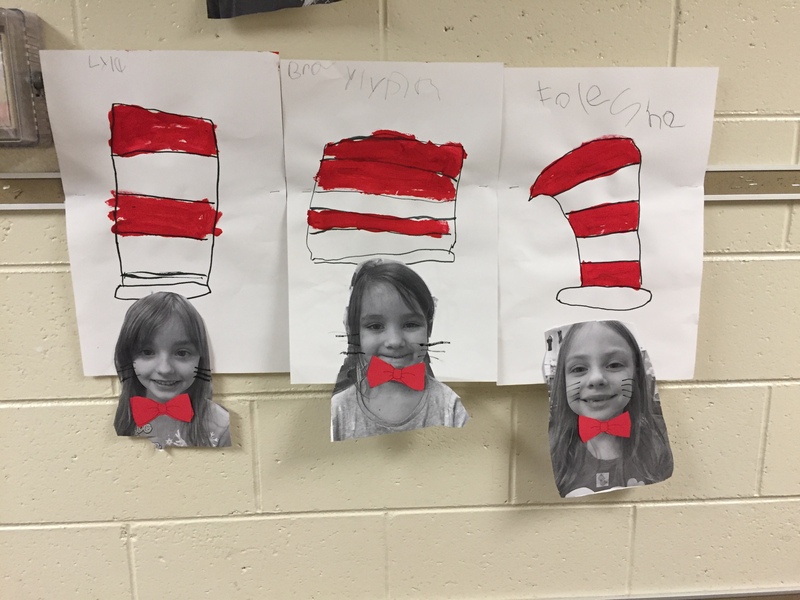 We wrote about what we would do to get rid of the cat in the hat, and took pictures of ourselves and made them to look like the cat. 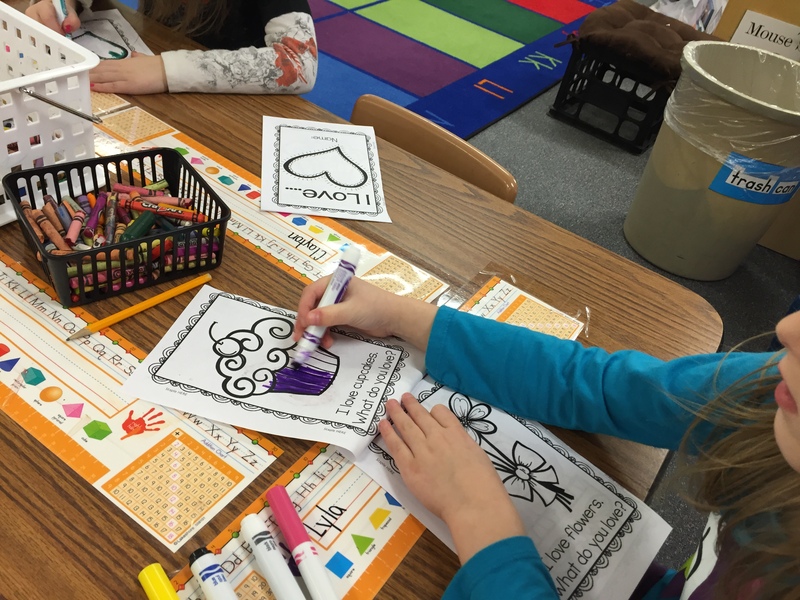 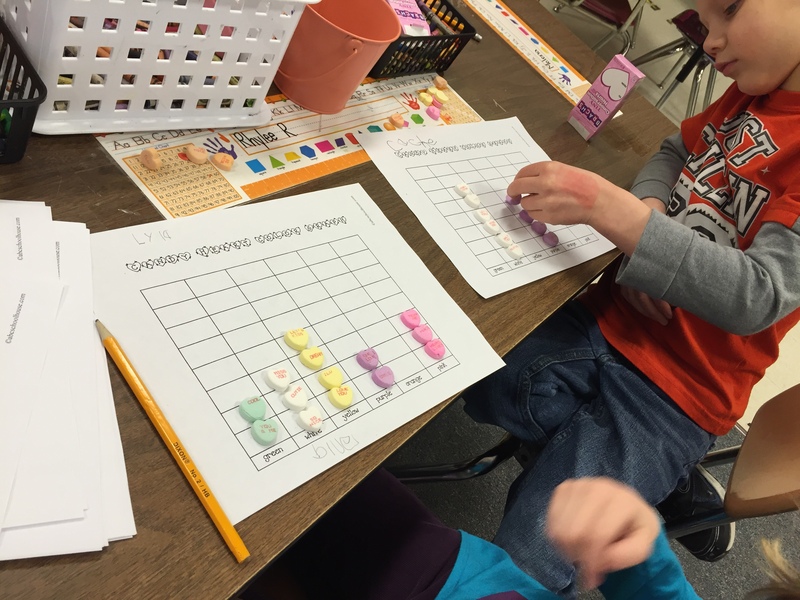 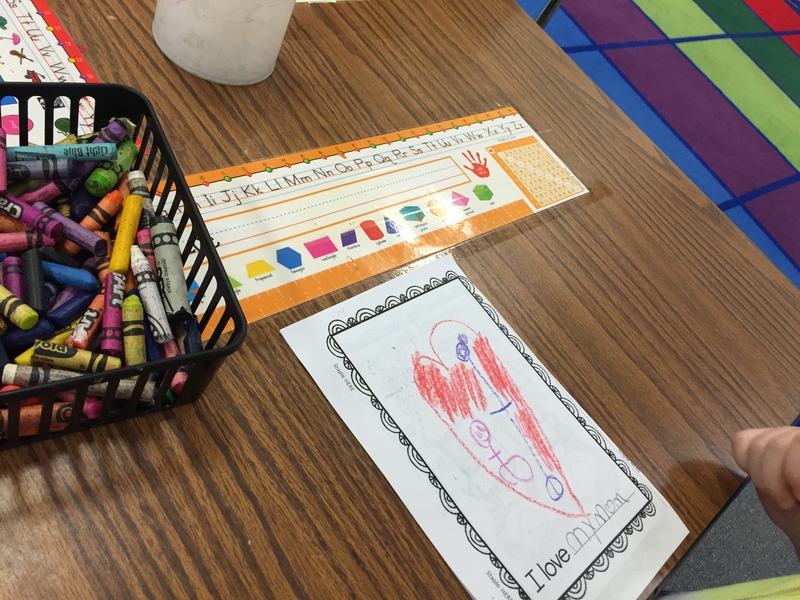 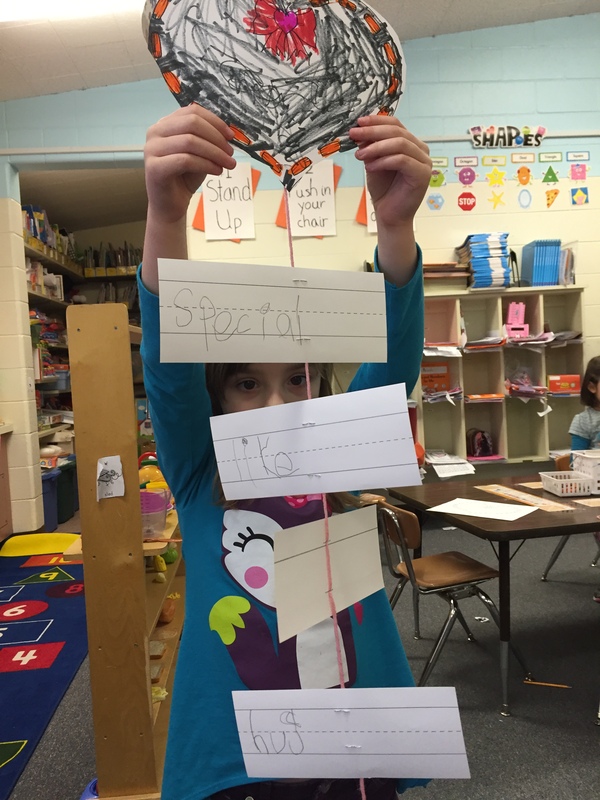 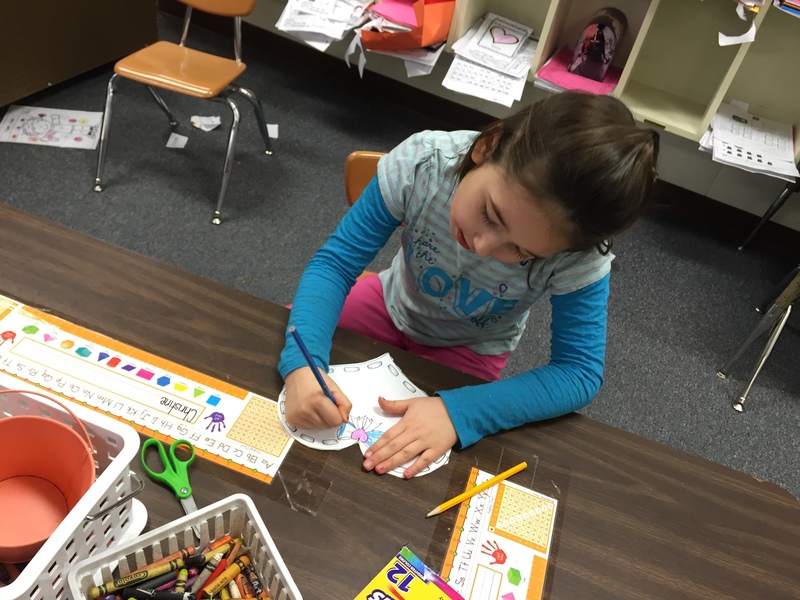 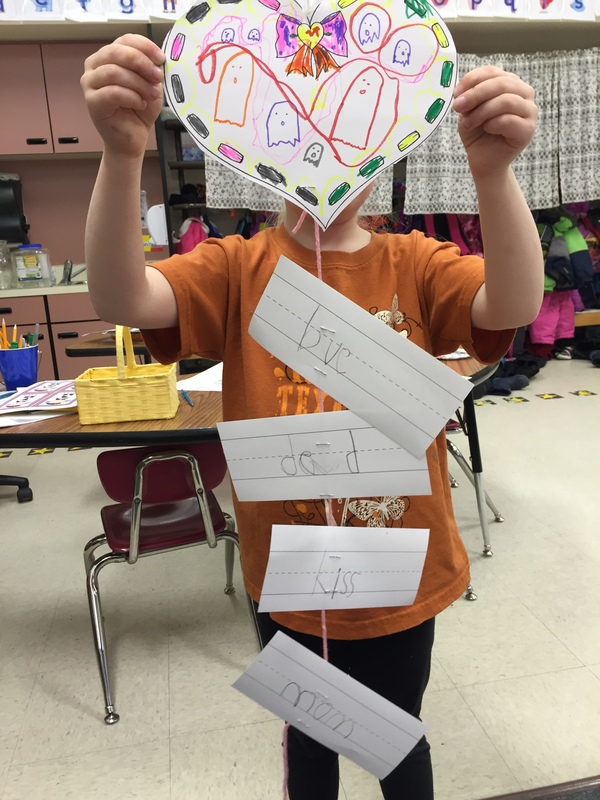 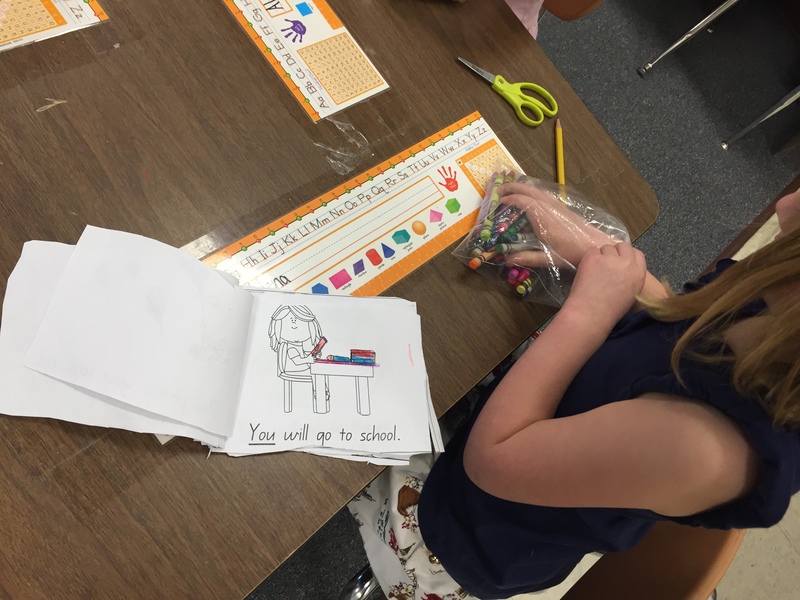 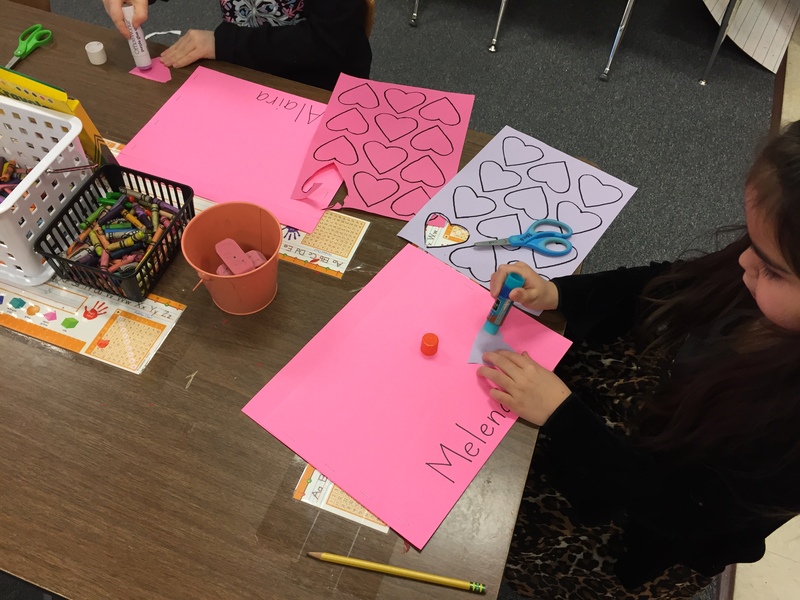 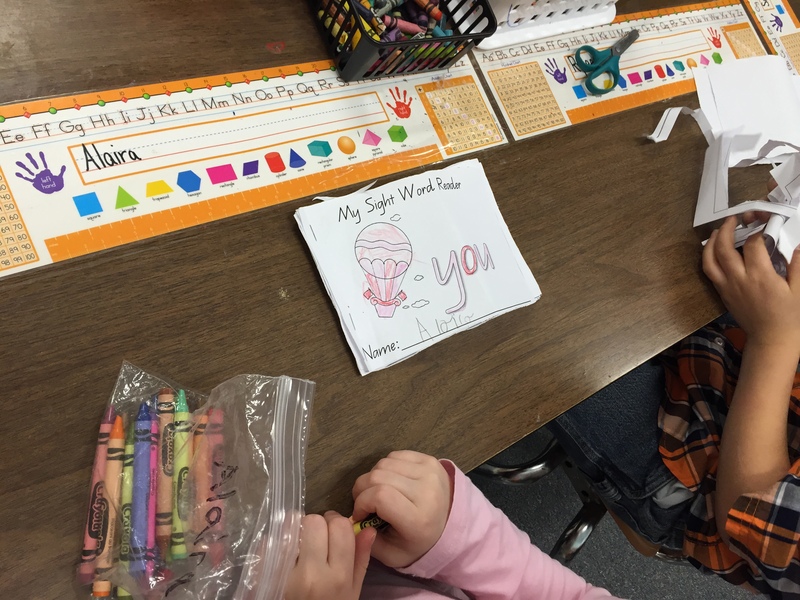 We also made and colored easy readers using the sight word “you”. 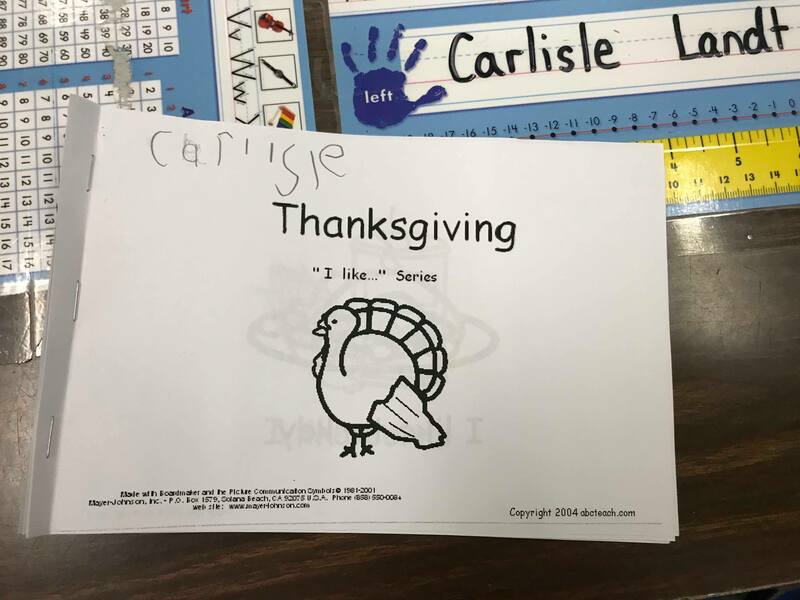 Sorry this is so late, things have been busy over here. 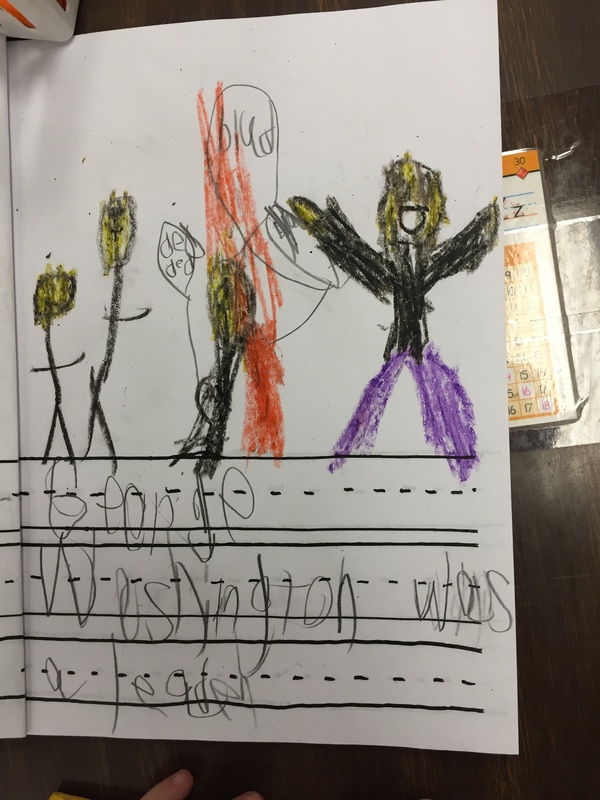 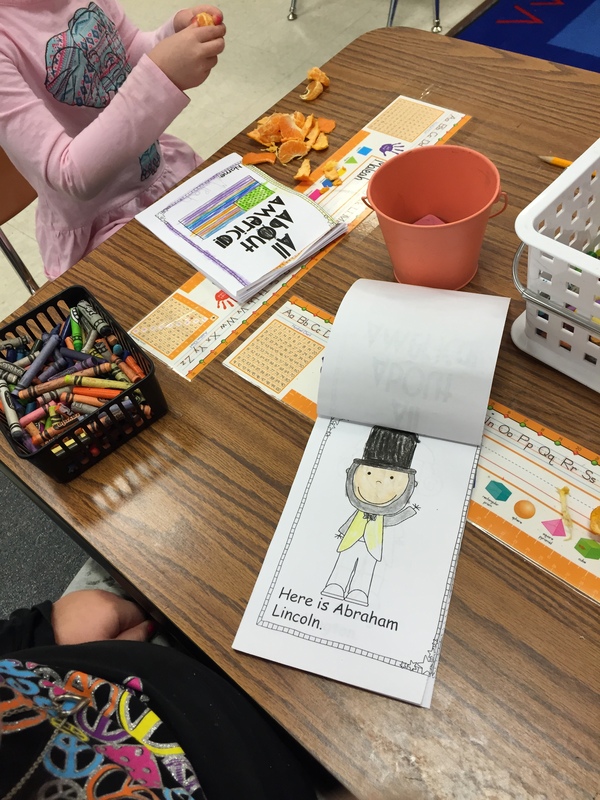 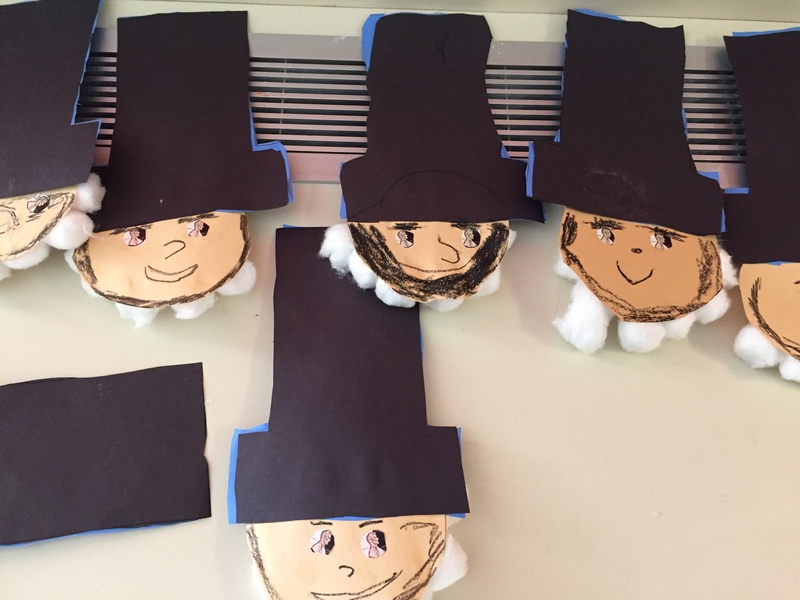 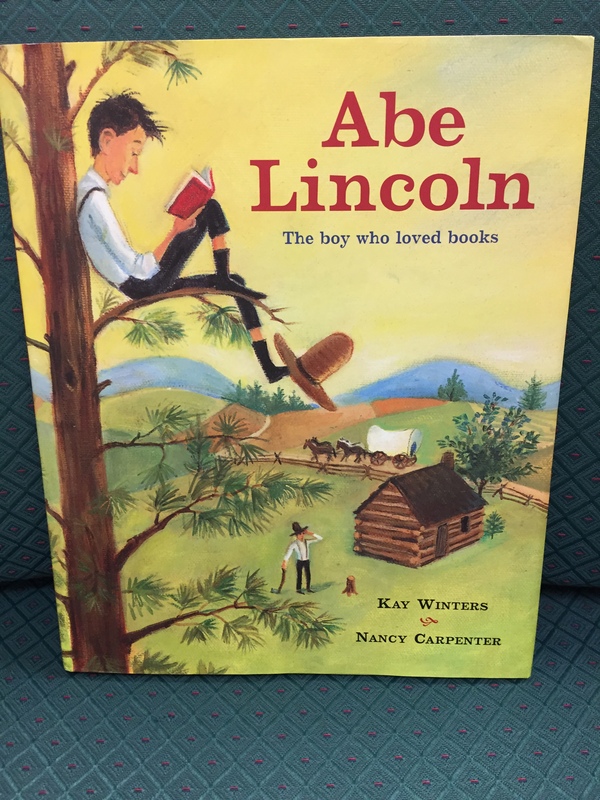 A few weeks ago we celebrated Presidents day and we learned about two famous presidents; George Washington and Abraham Lincoln. 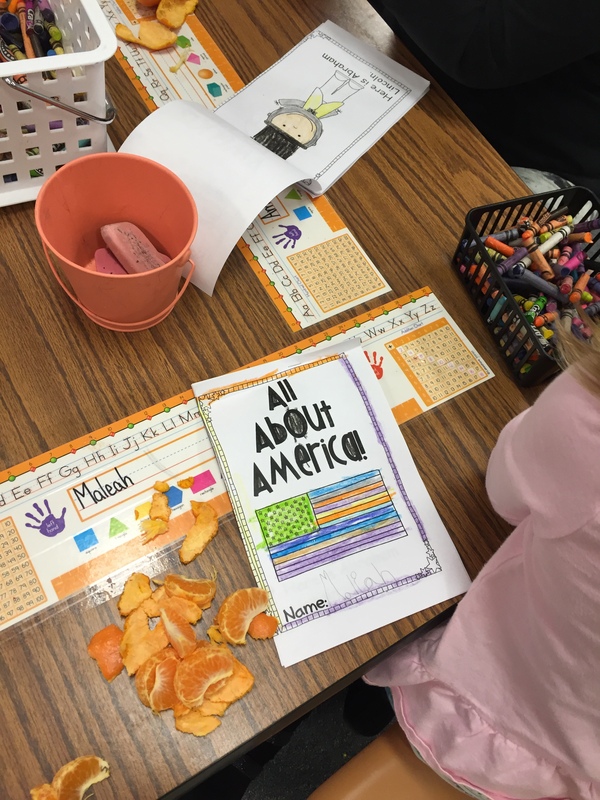 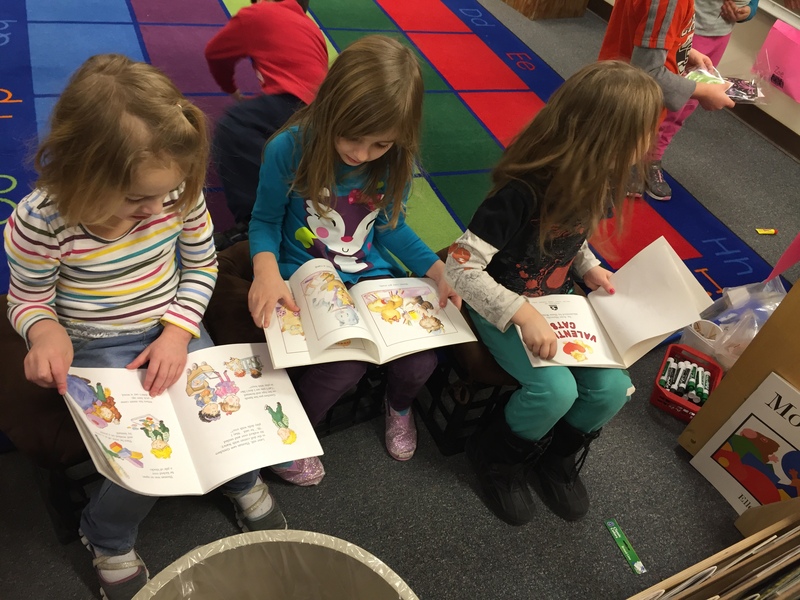 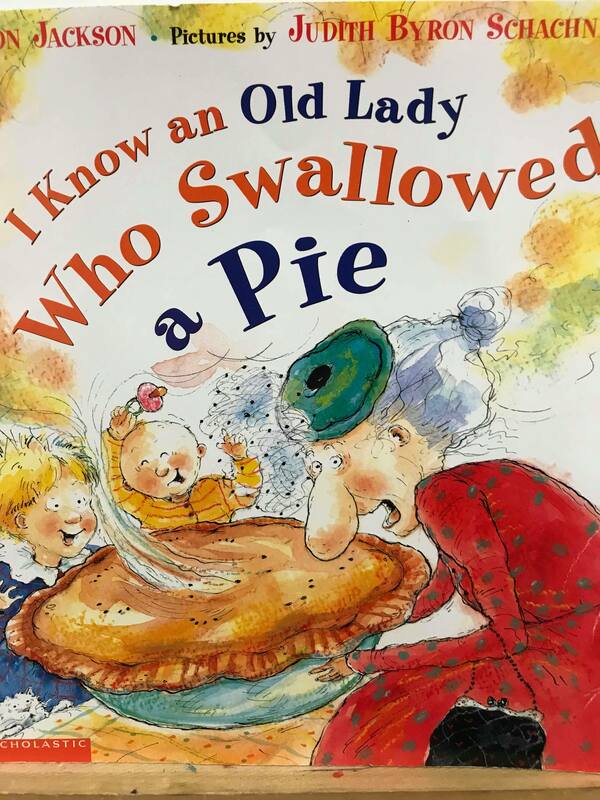 We read stories about both presidents and read an easy reader called All About America. 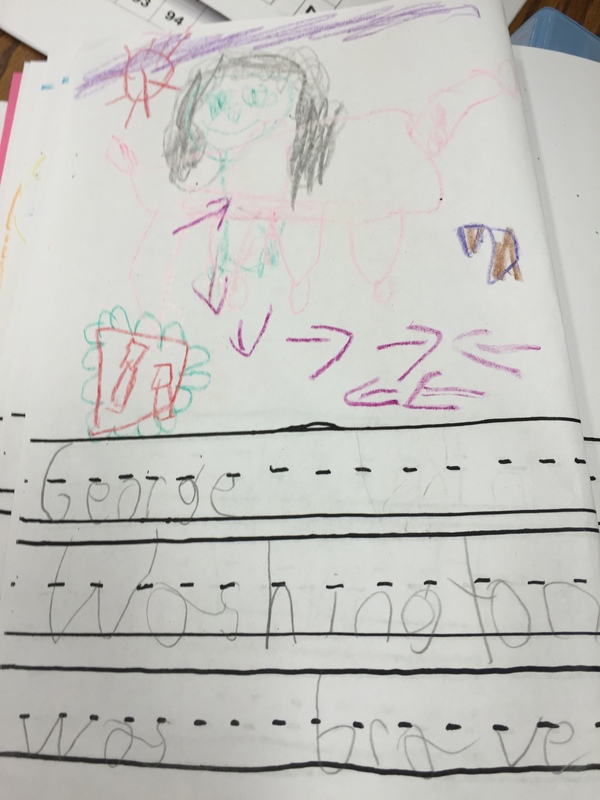 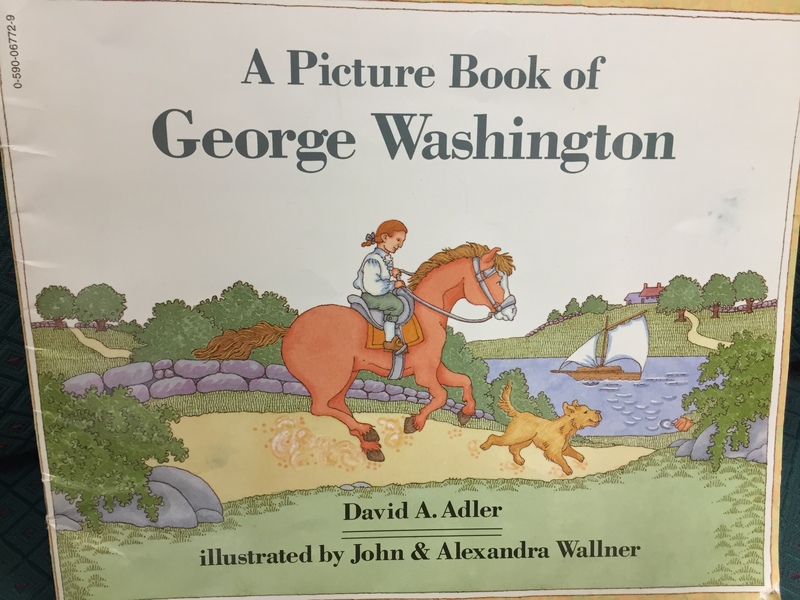 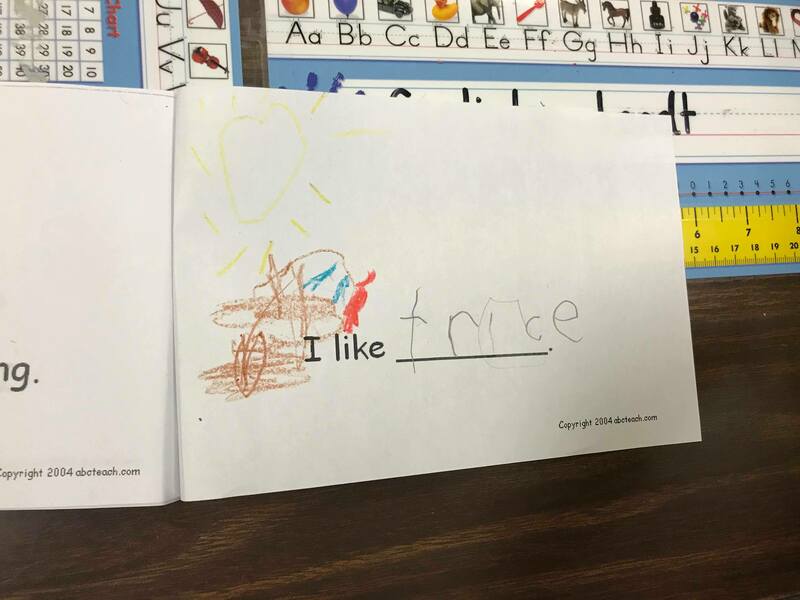 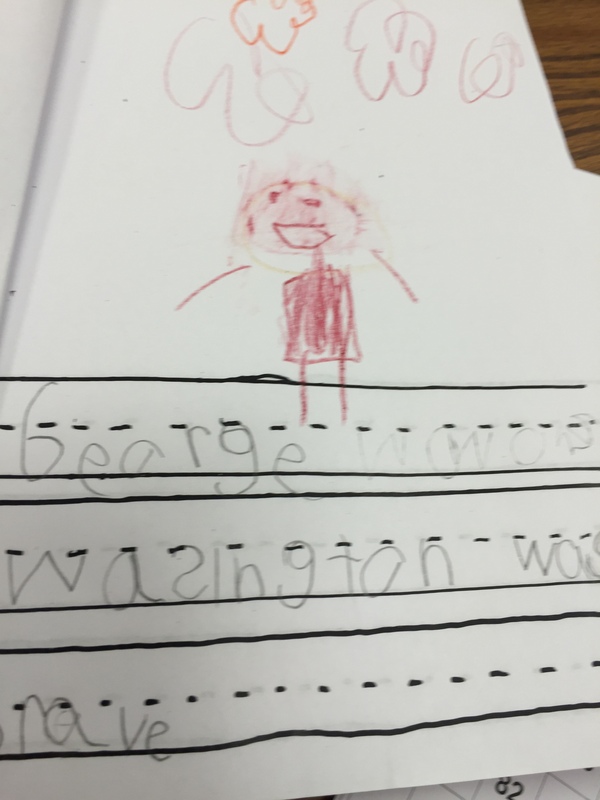 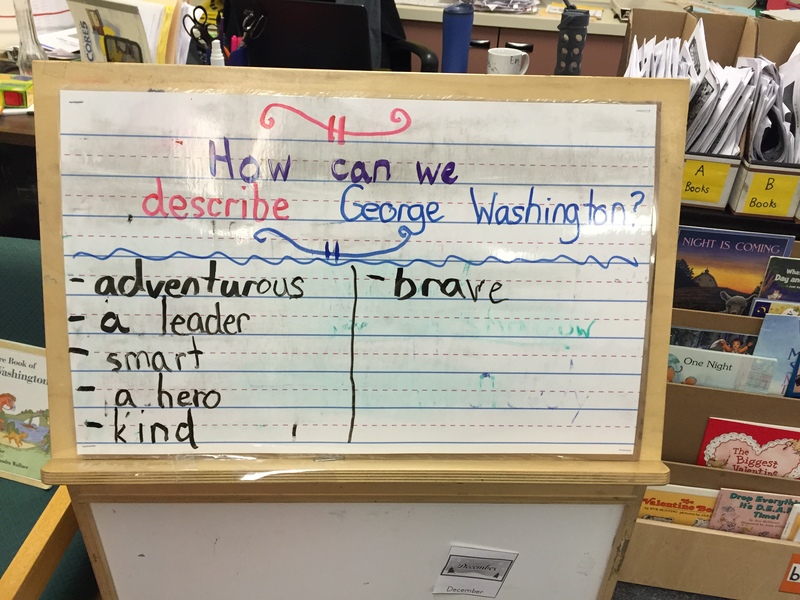 After we read the story about George Washington; we made a list of describing words to describe George Washington and wrote about what we learned. 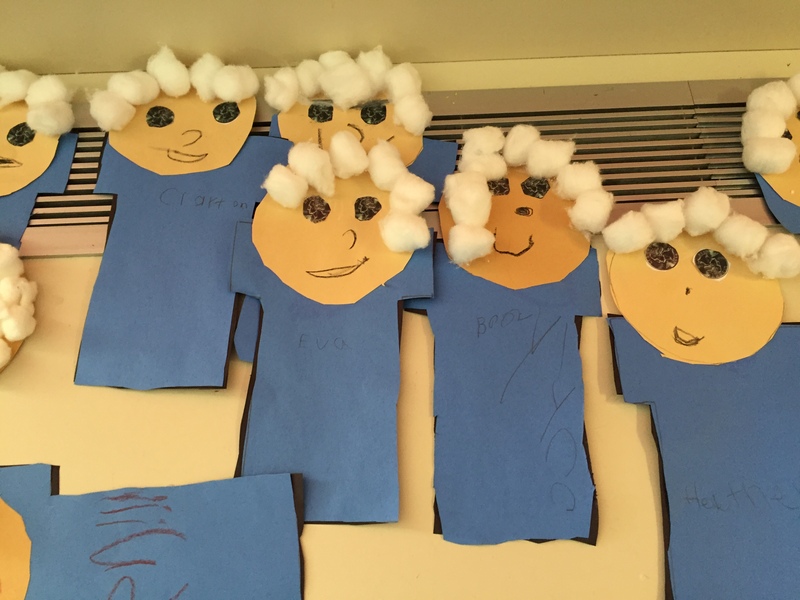 Finally we made two presidents out of construction paper and cotton balls. 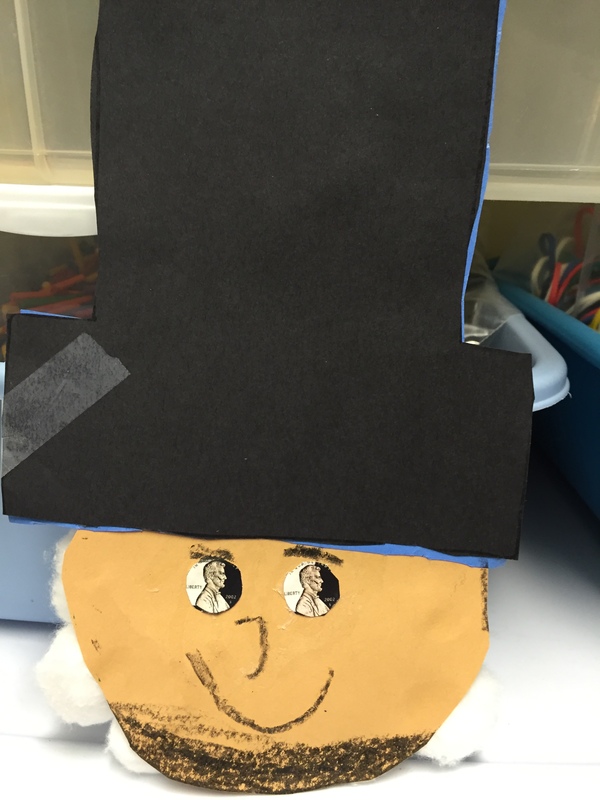 On one side we made George Washington, on the other side we made Abraham Lincoln. 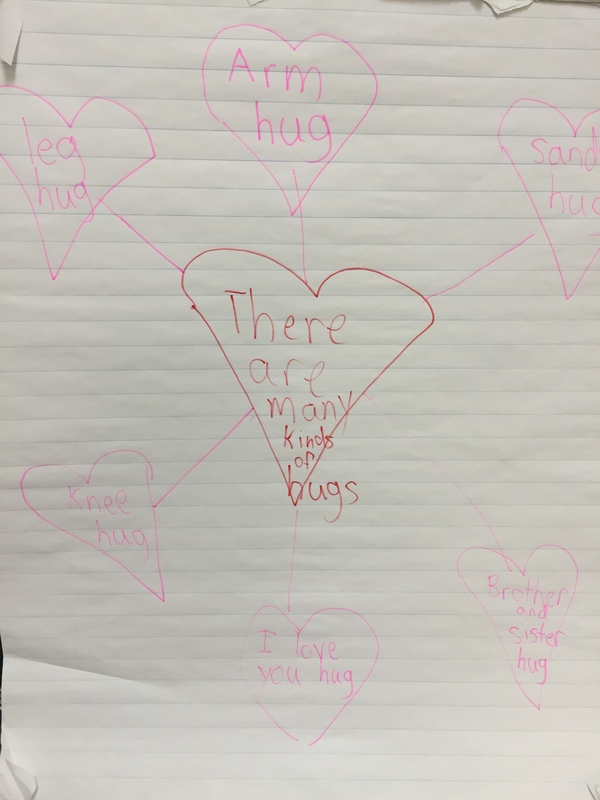 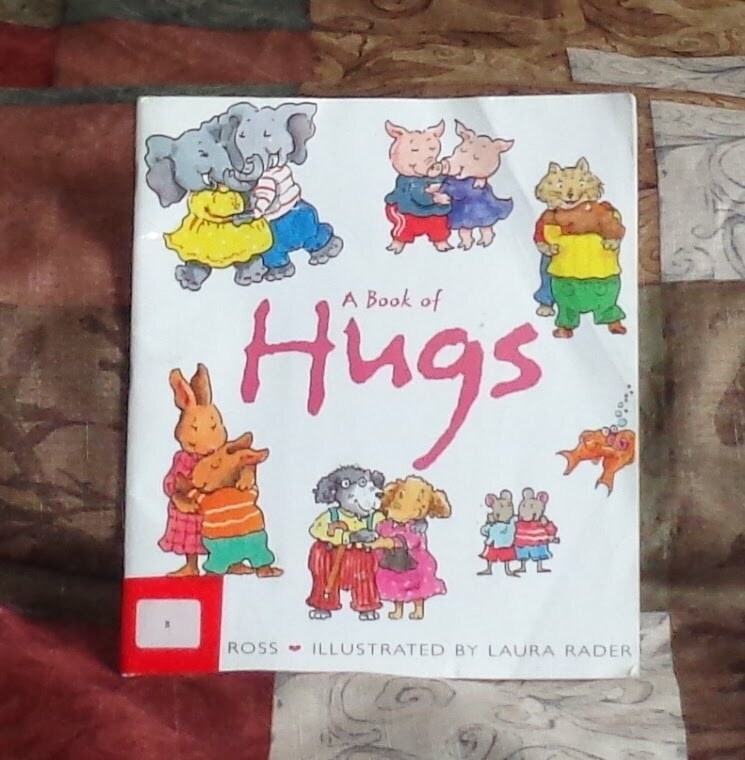 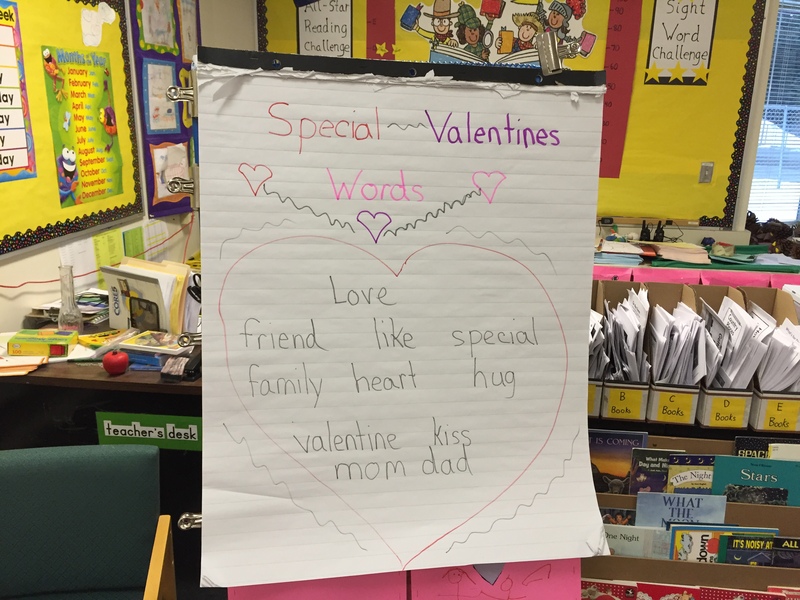 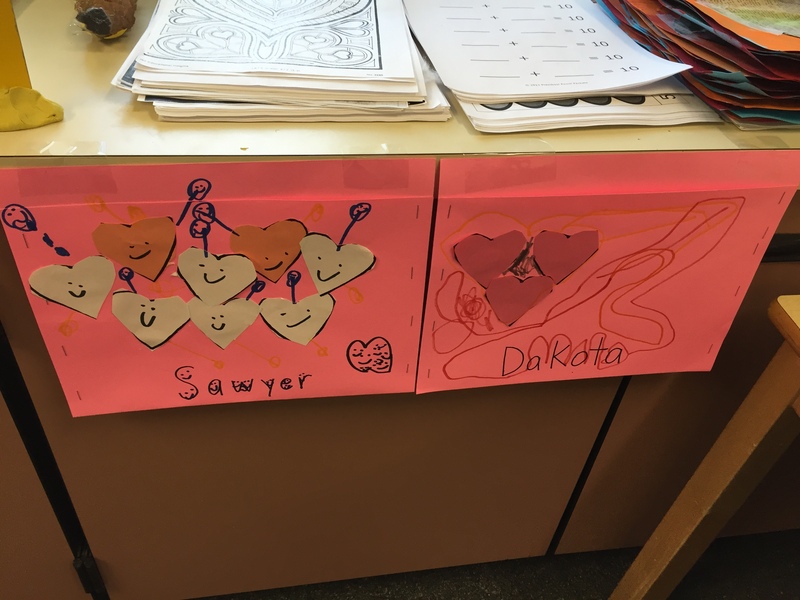 We read the story called A Book of Hugs and labeled the main idea and details of the story. 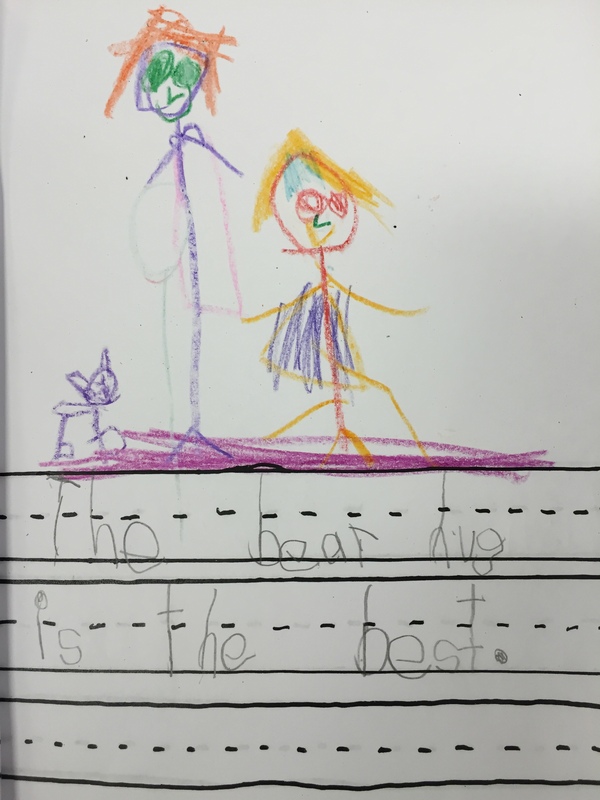 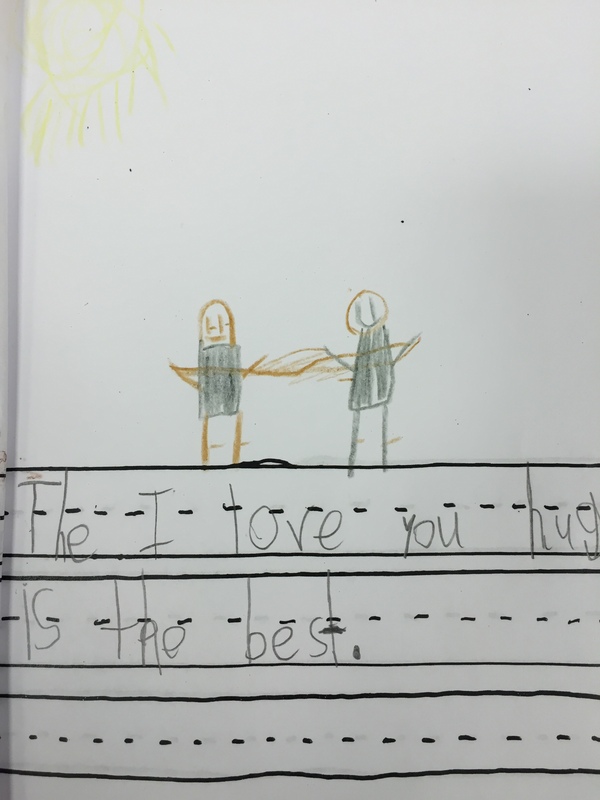 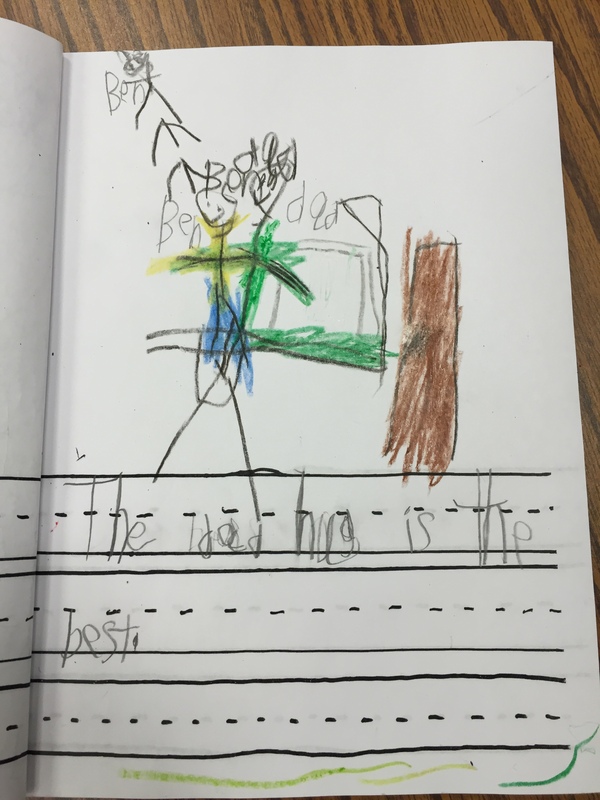 For writing we wrote in our journals about what kind of hug do we think is the best. 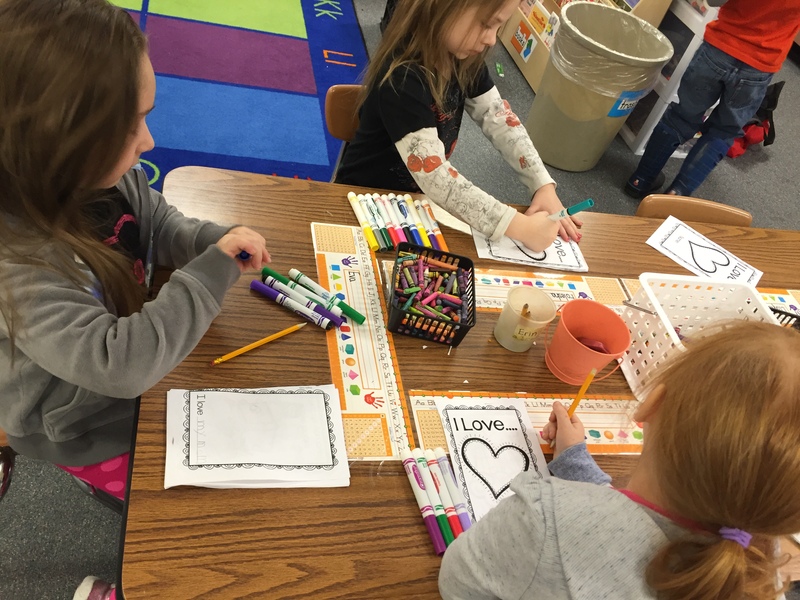 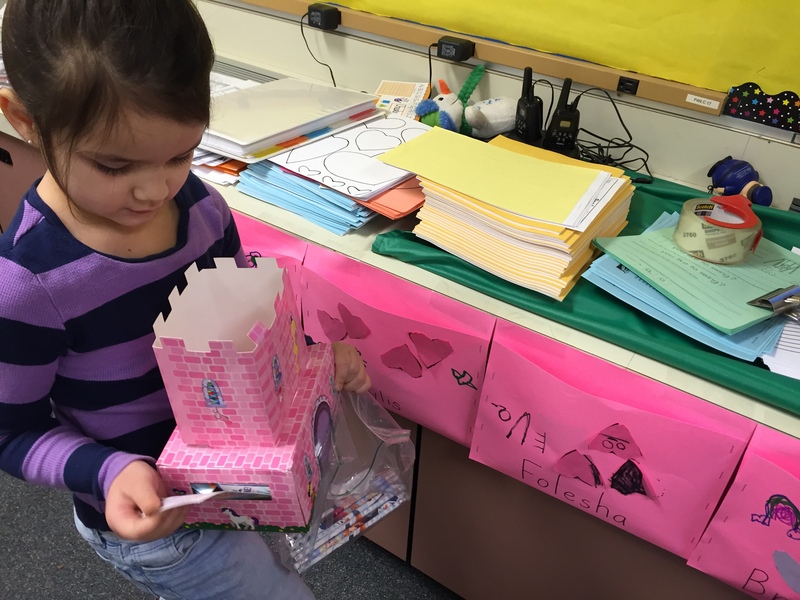 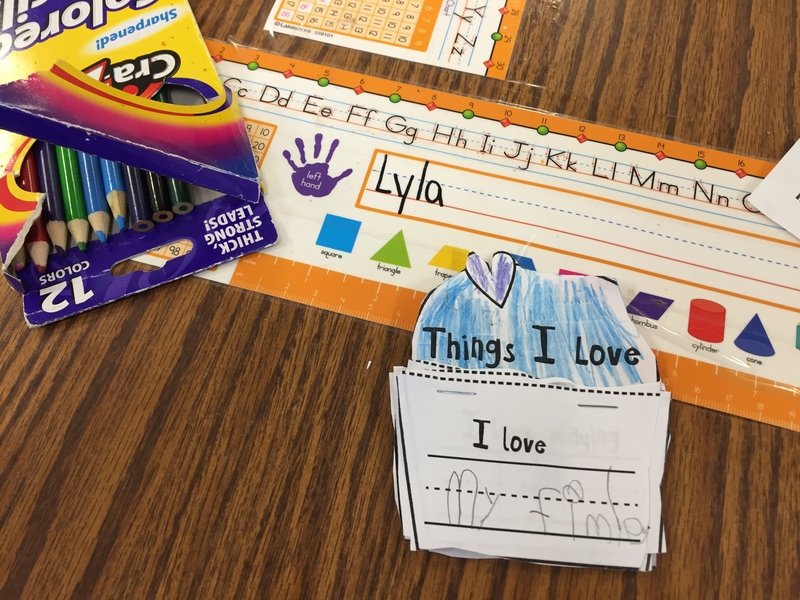 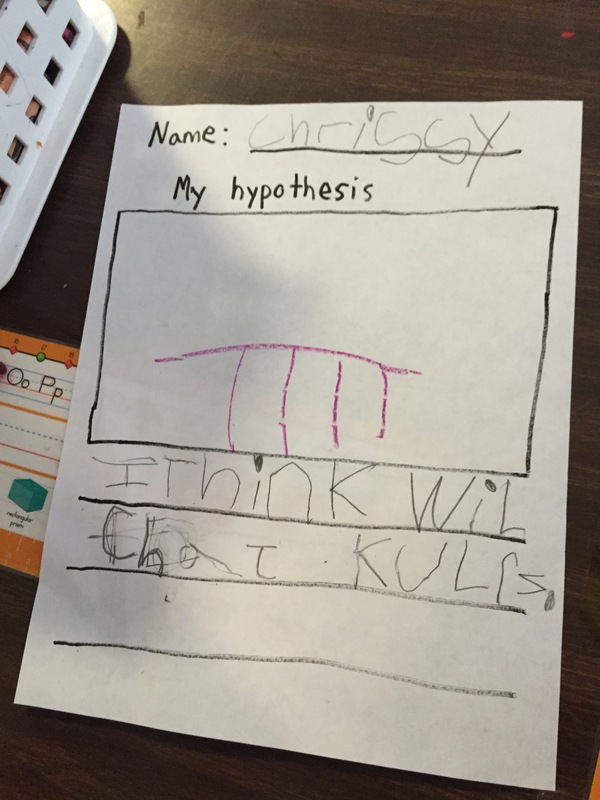 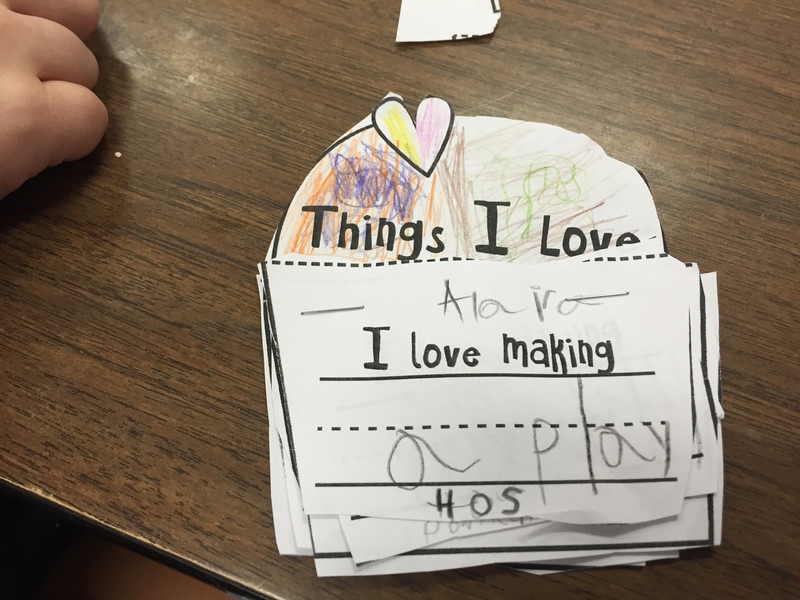 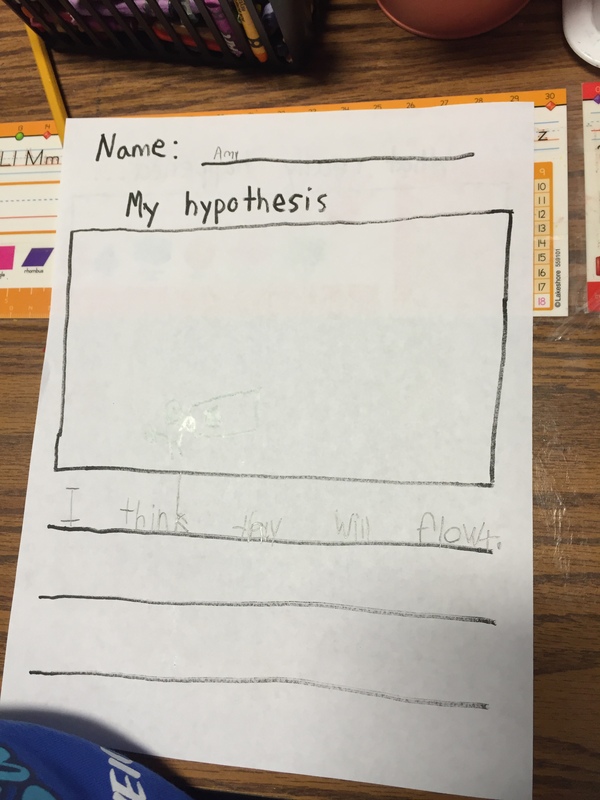 We also made flip books about things that we love. 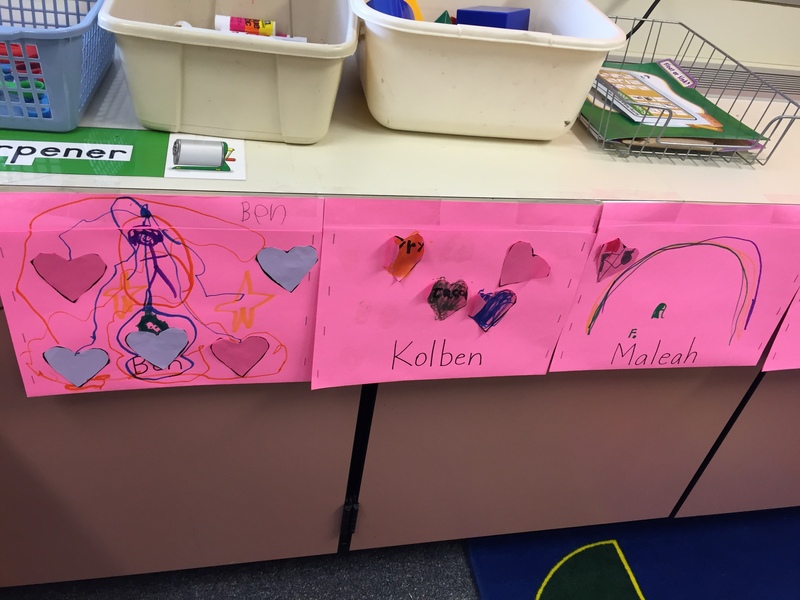 Finally, in preparation for our Valentines Day party, we decorated our Valentines envelopes. 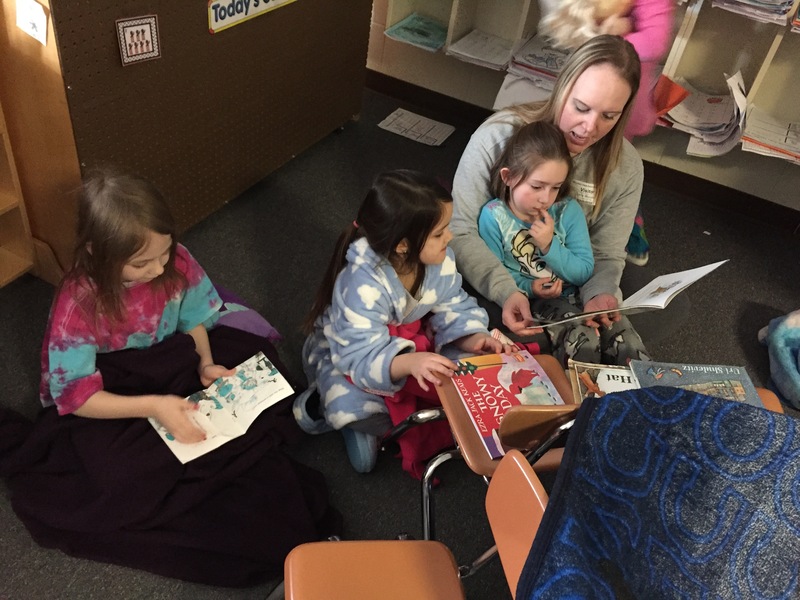 Our Title 1 team put on a pajama party and invited parents to come and read to our class. 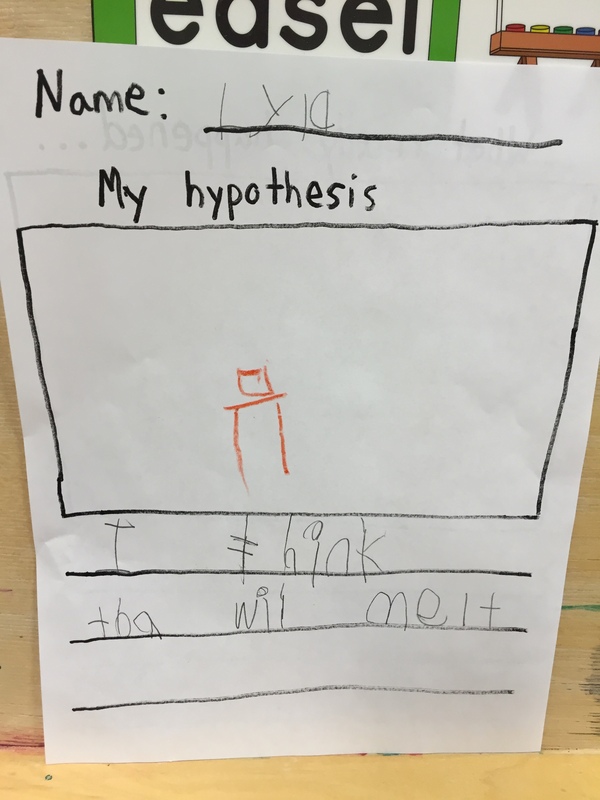 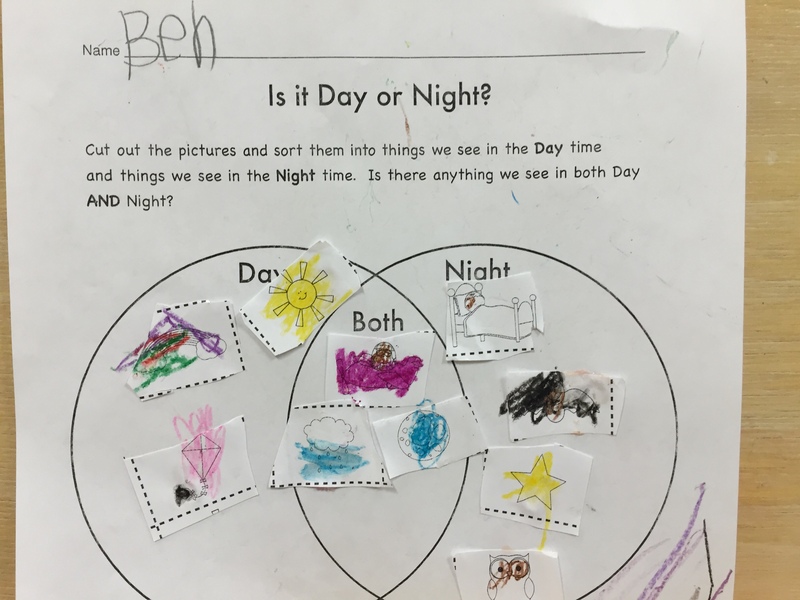 This also helped launch our class into our day & night science unit. 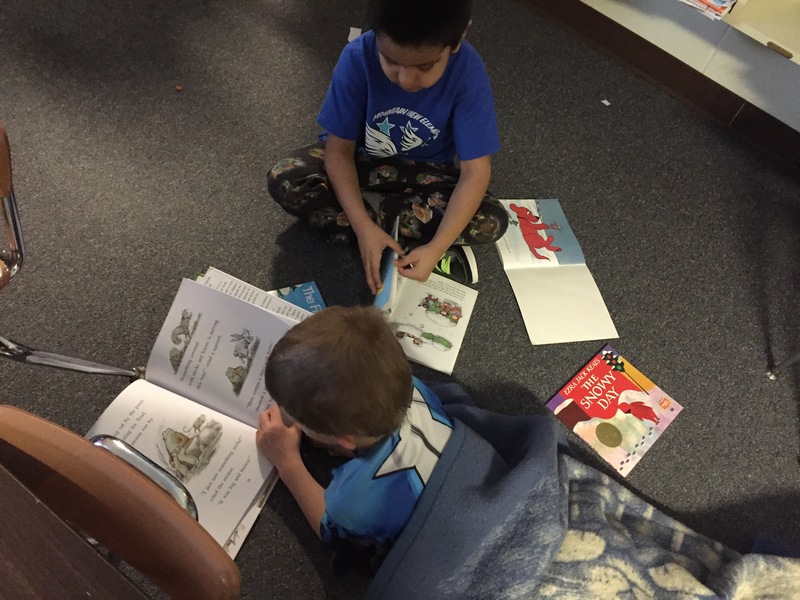 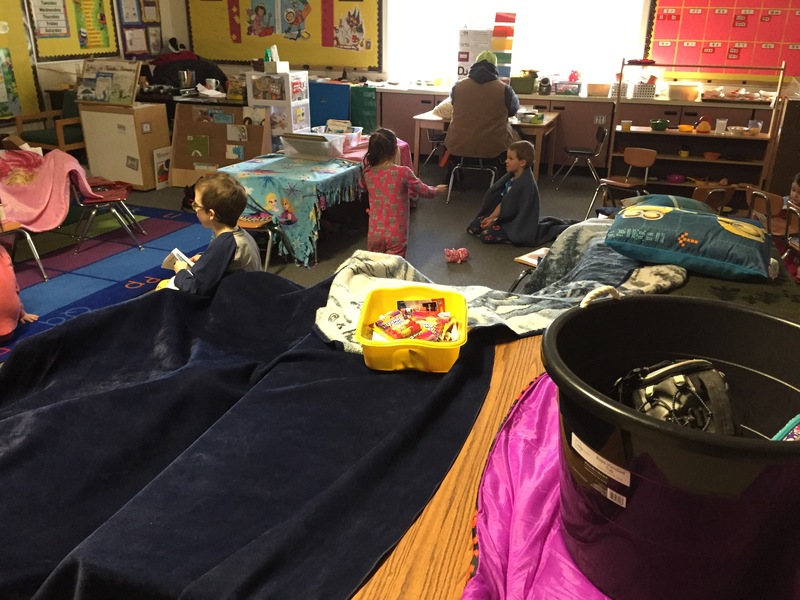 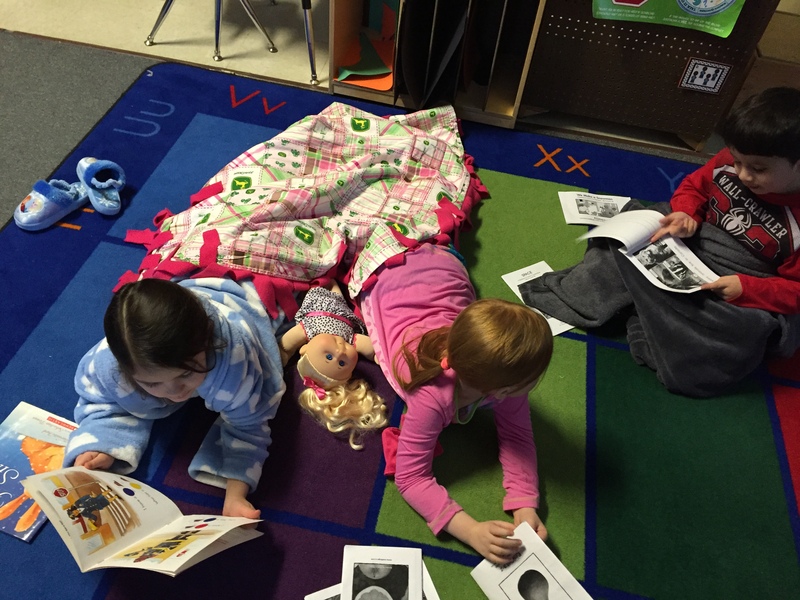 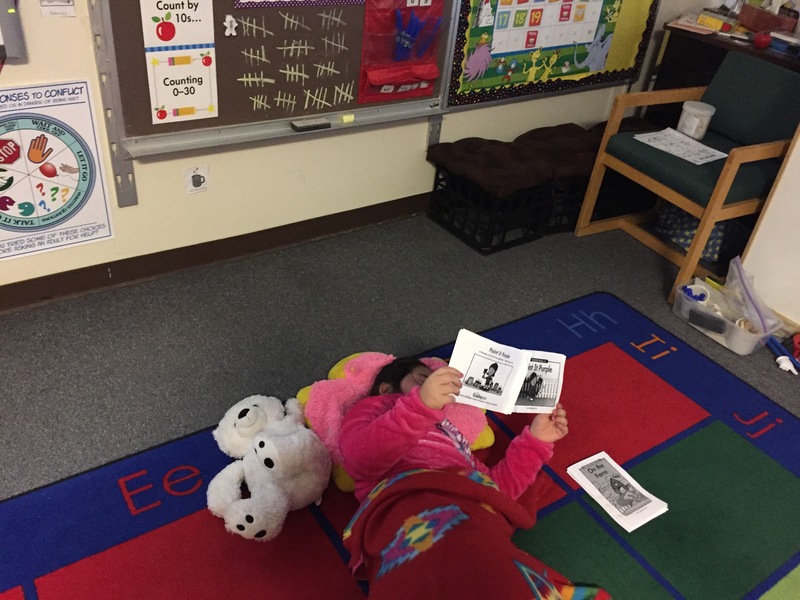 We started out by enjoying cereal for snack and then for drop everything and read, students got to snuggle with their pillows and stuffed animals. 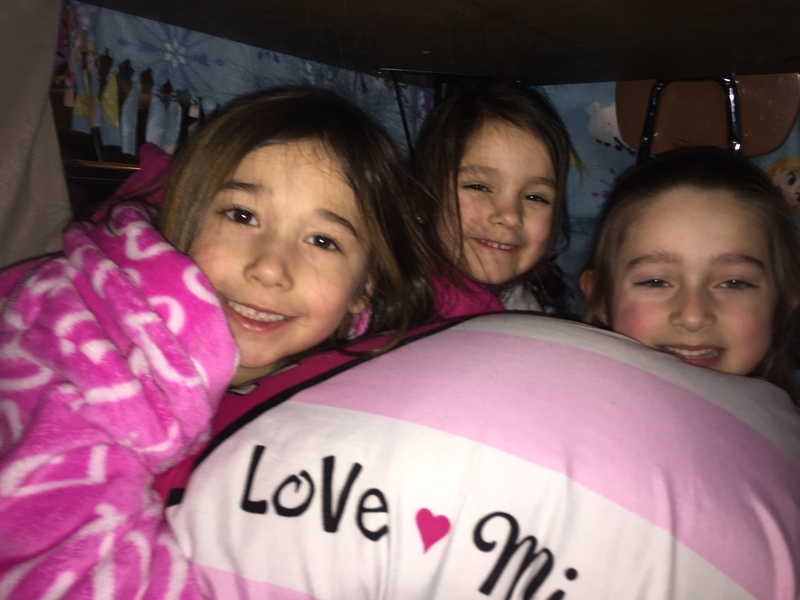 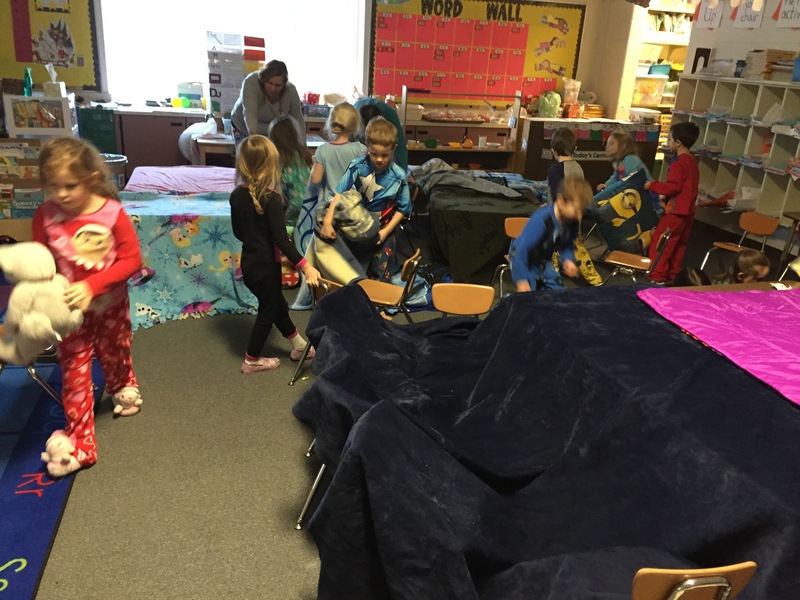 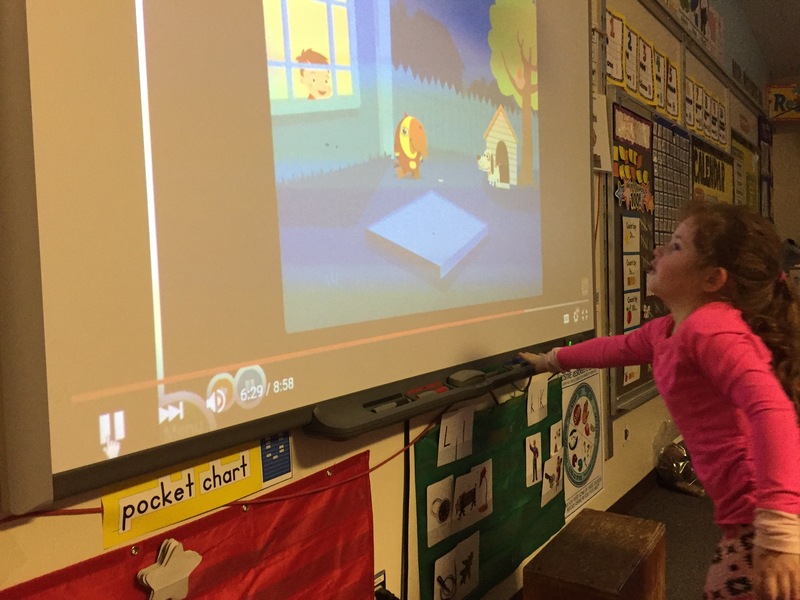 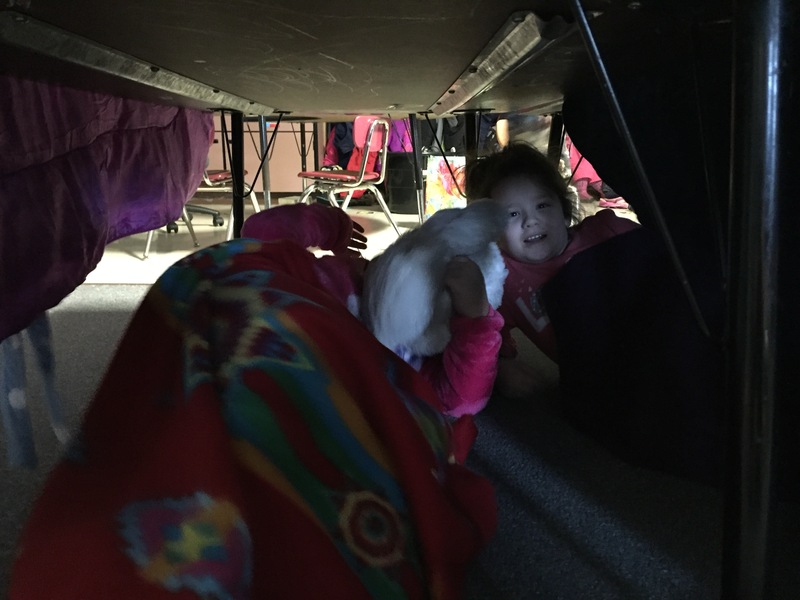 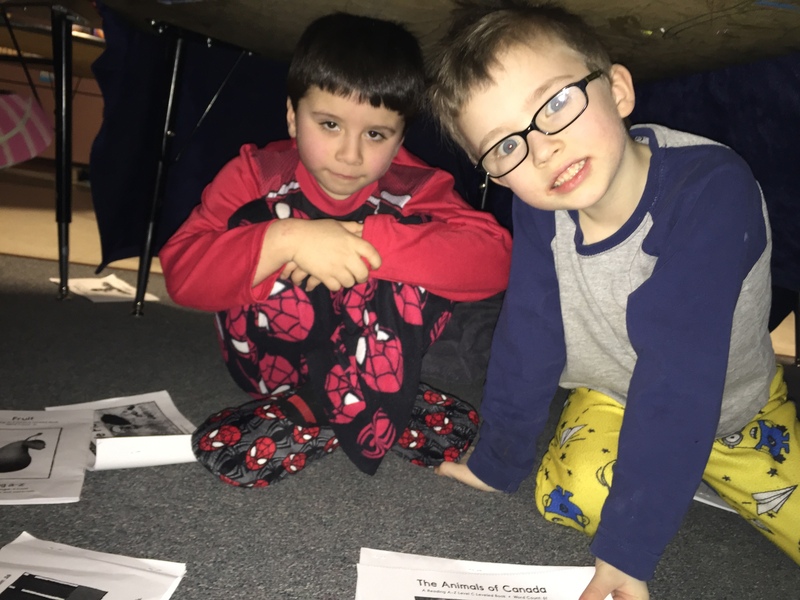 Finally our class built blanket forts, listened to a bedtime story on the SMART board and had our parents read to us at the forts. 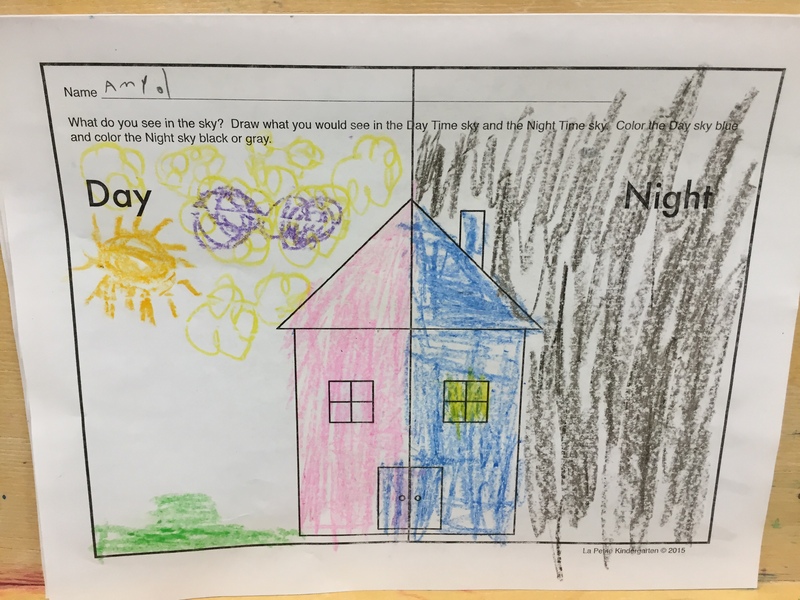 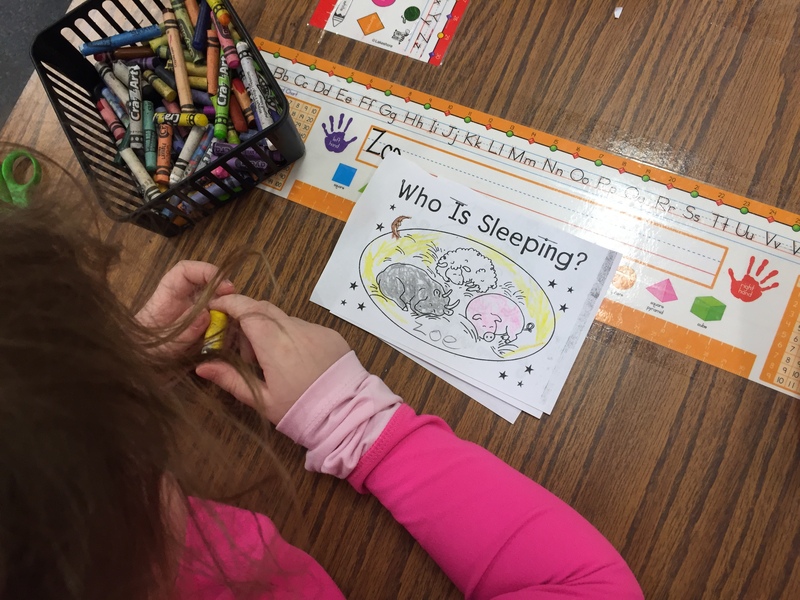 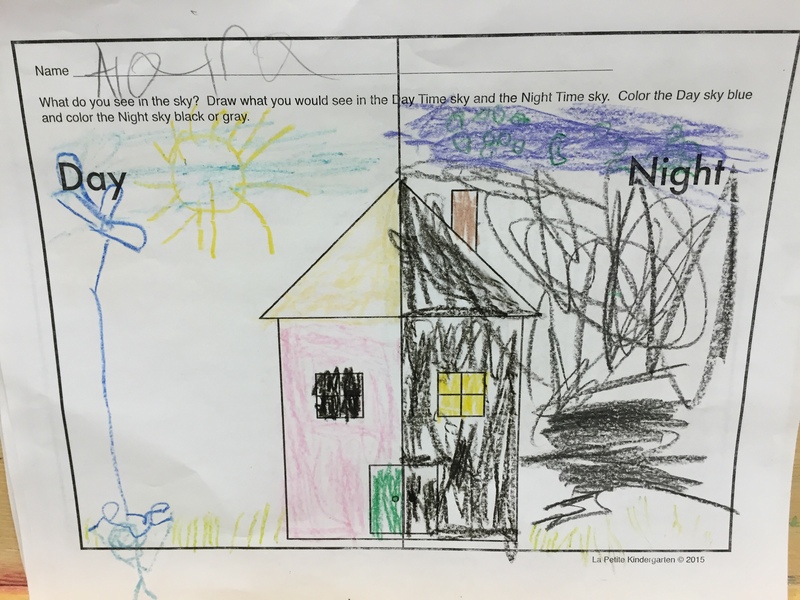 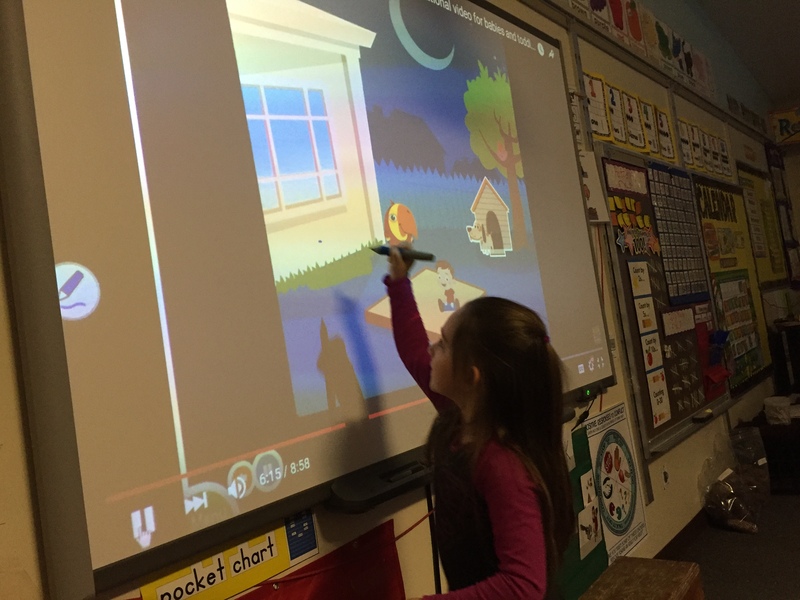 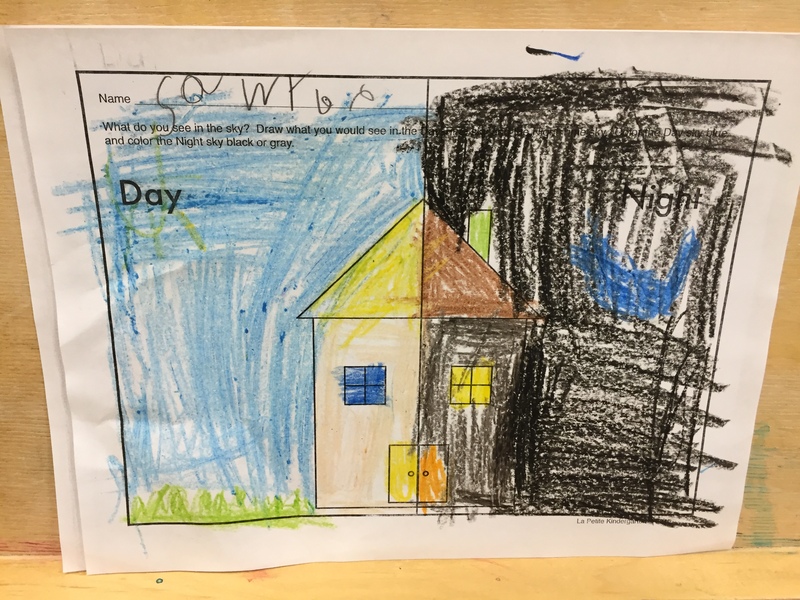 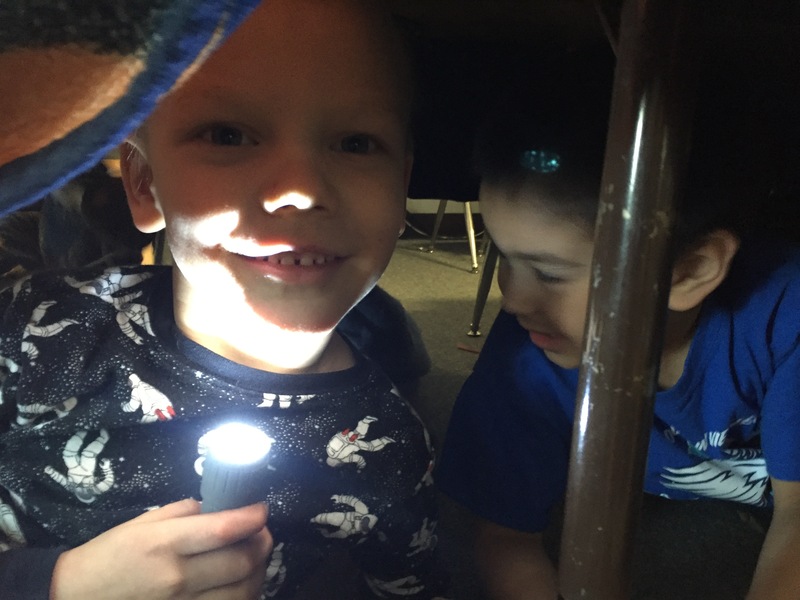 Then starting this week we learned about what causes day & night. 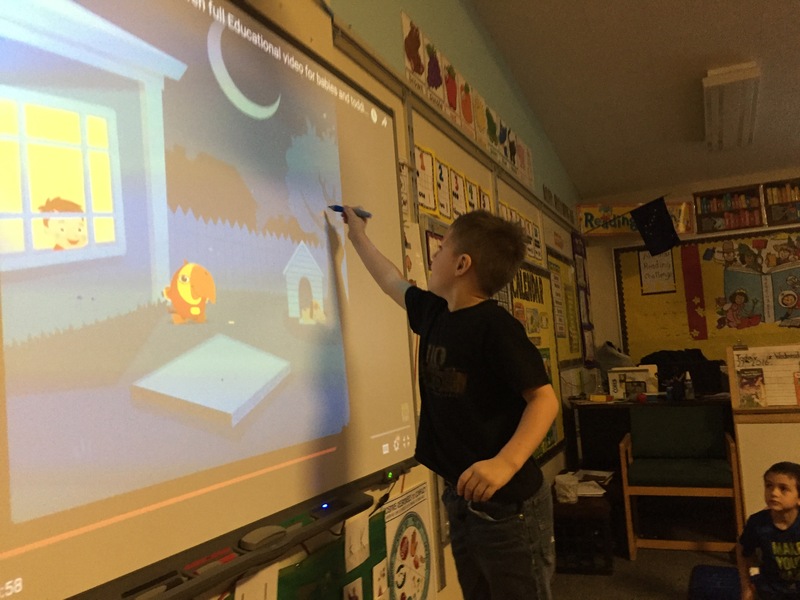 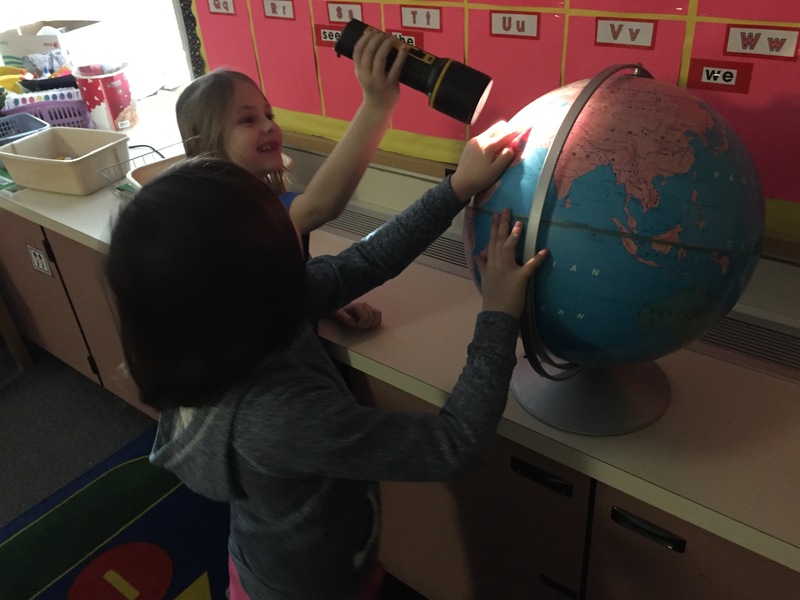 We read a non-fiction book about what makes day and night and watched a video on youtube about how the earth rotates and revolves around the sun. 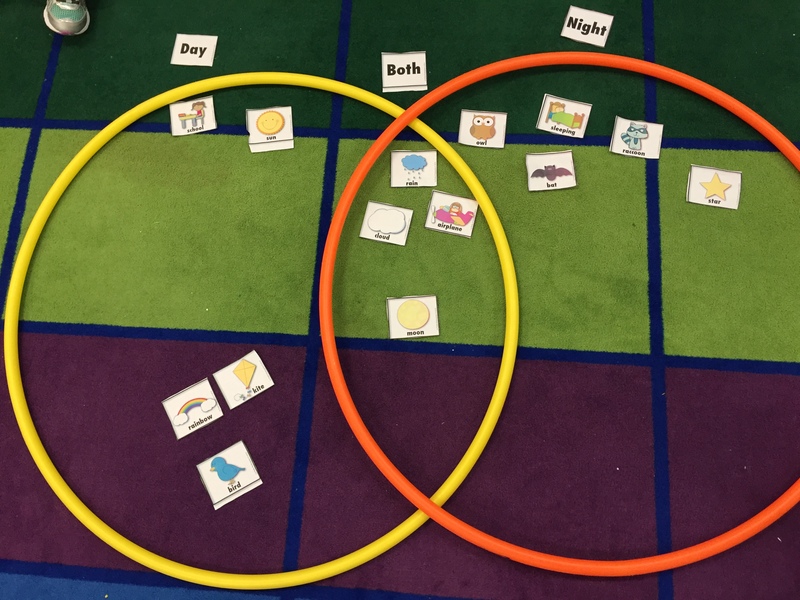 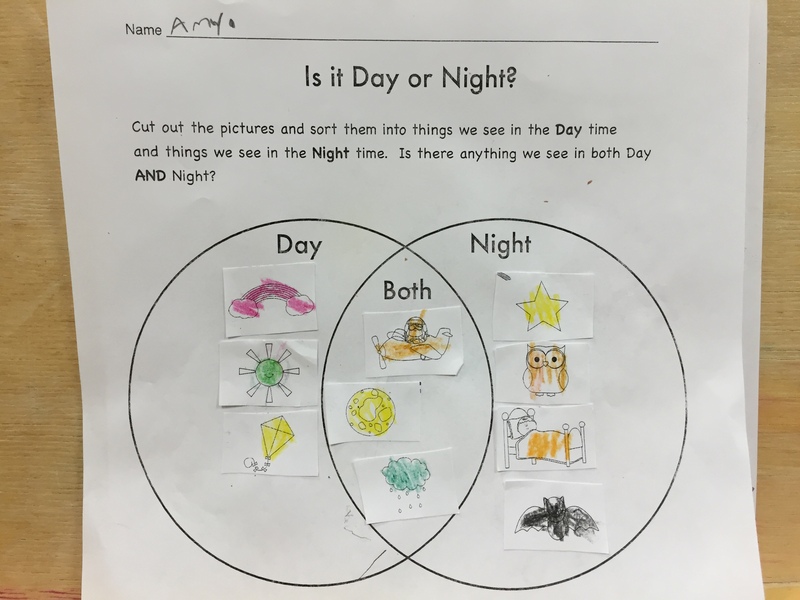 As a class, we created a venn diagram that show things you can see in the sky during the day and during the night. 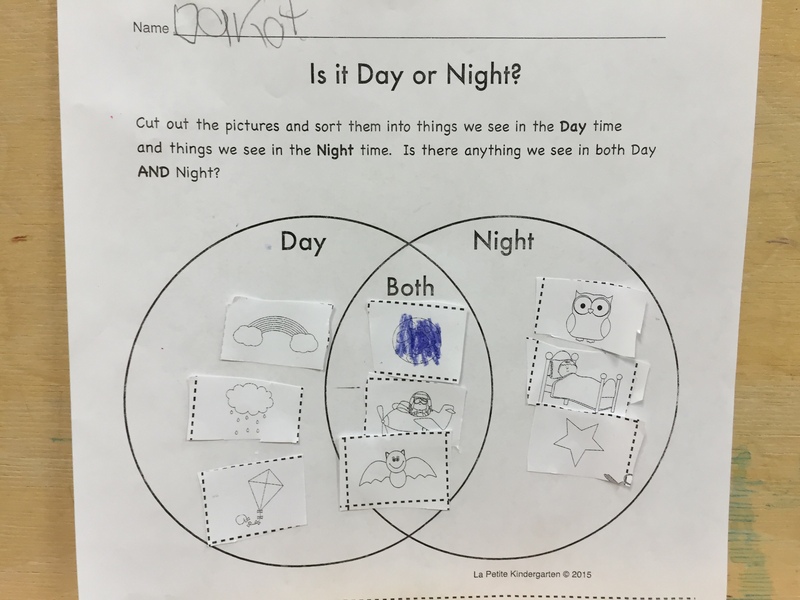 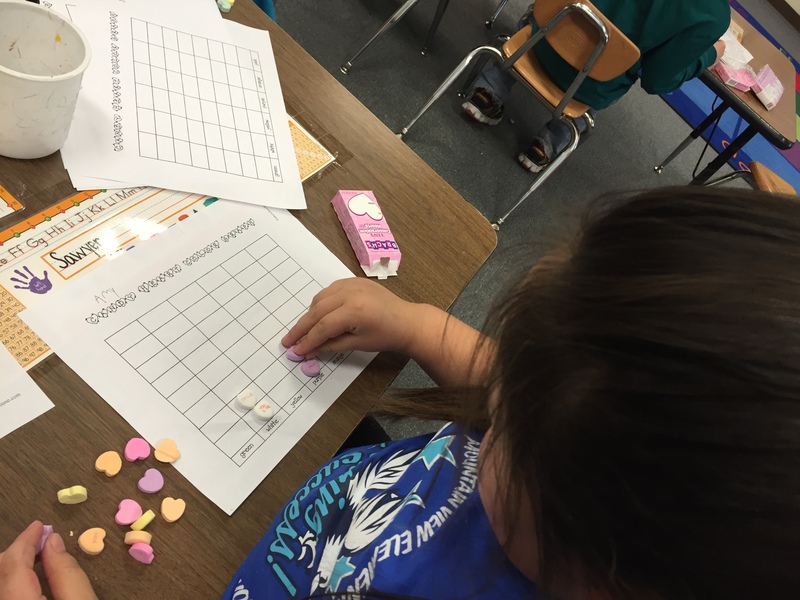 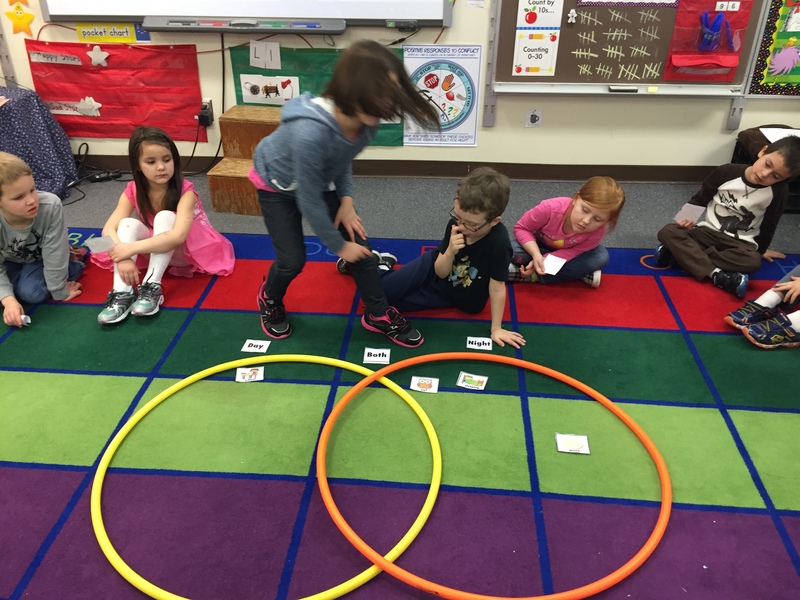 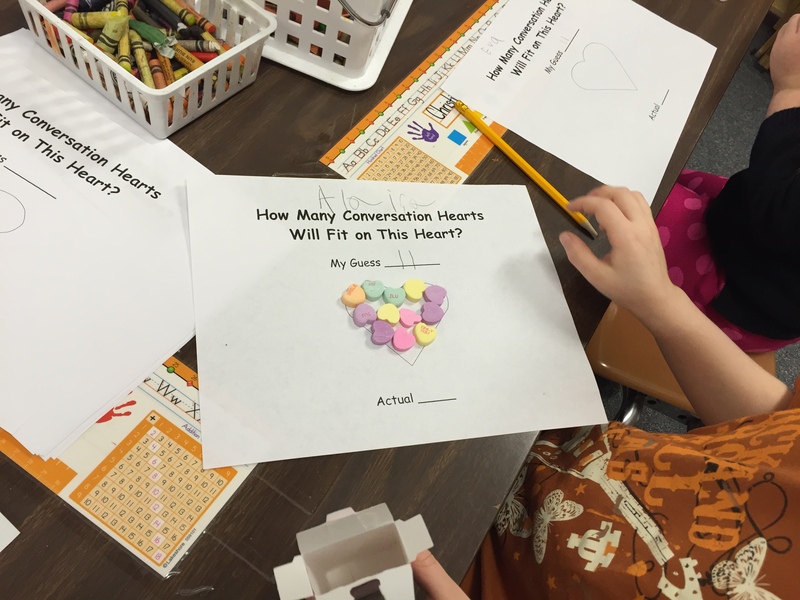 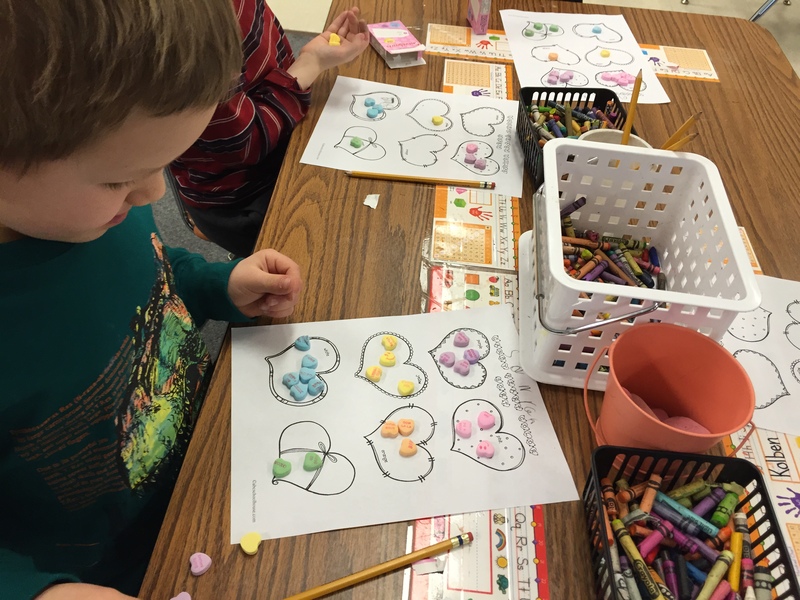 Then the class filled out their own venn diagram in a cut and paste activity. 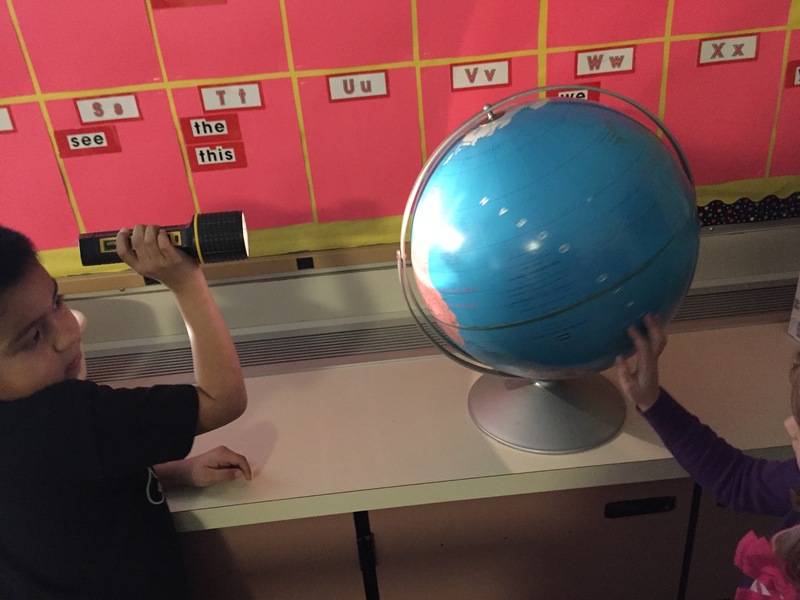 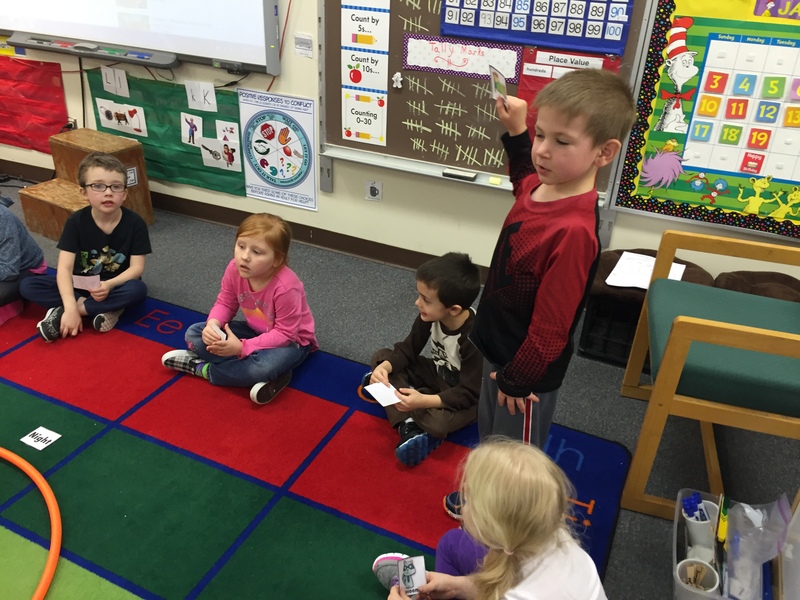 At the science center students got to explore the concepts of day and night using a globe.